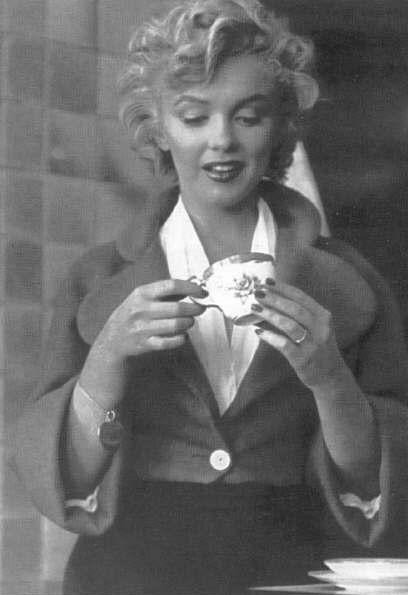 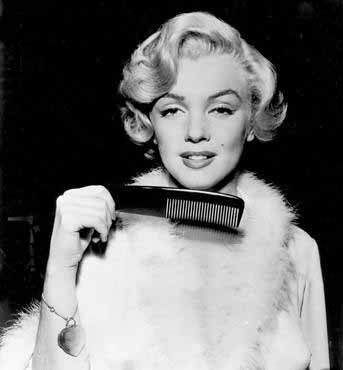 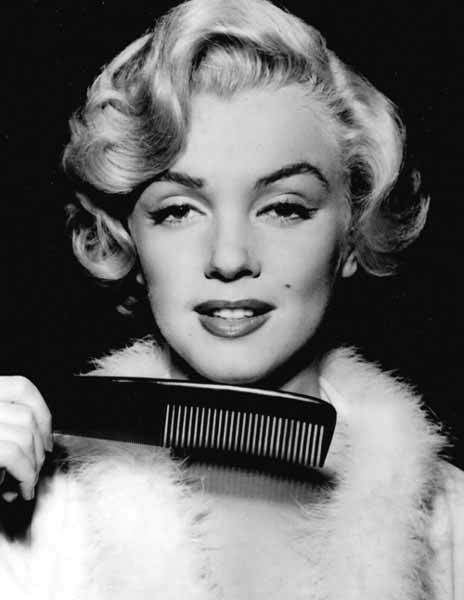 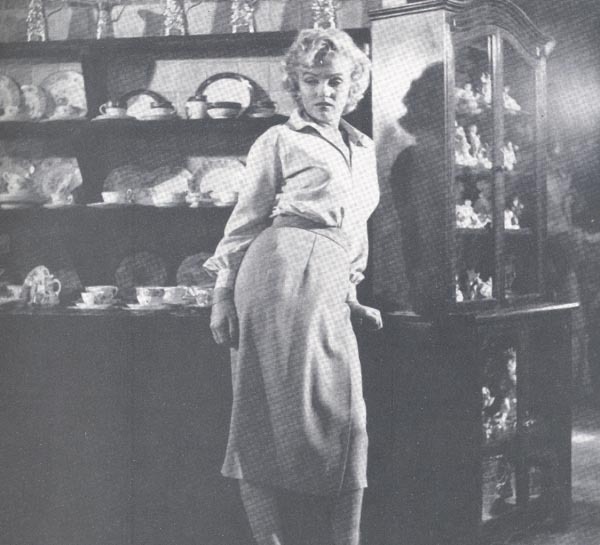 The Fox knew that Marilyn represented a significant "capital". 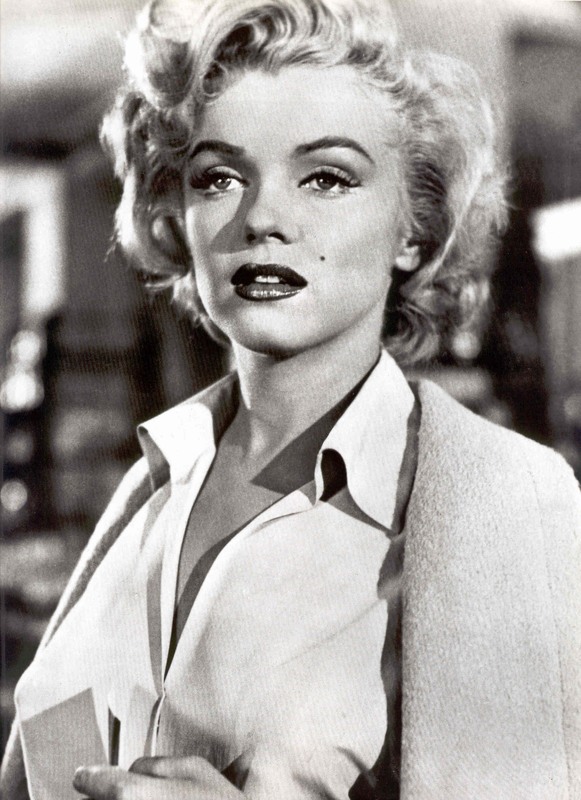 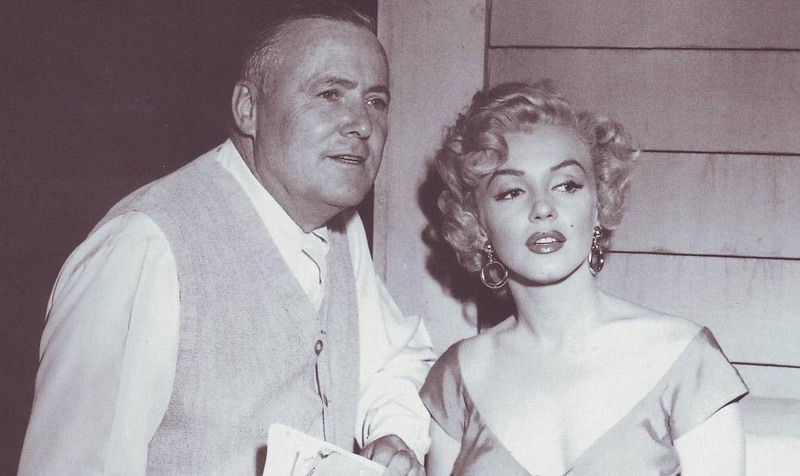 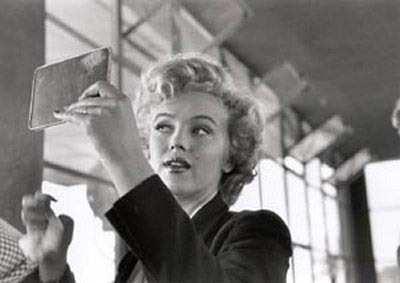 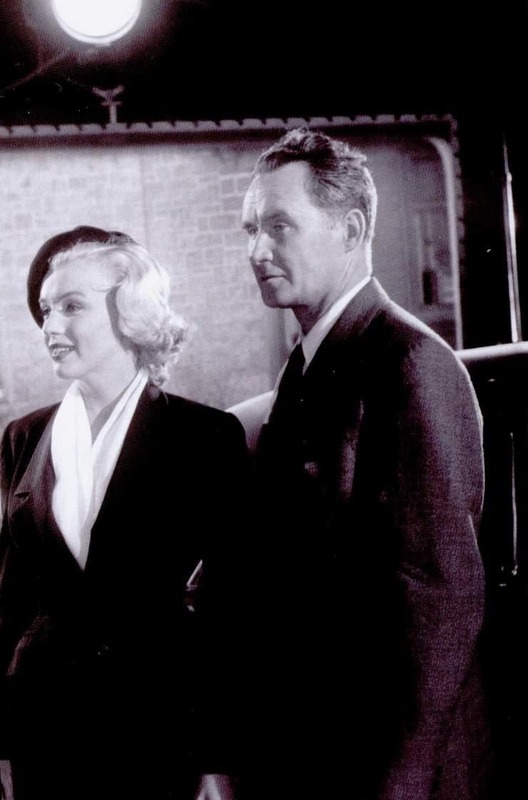 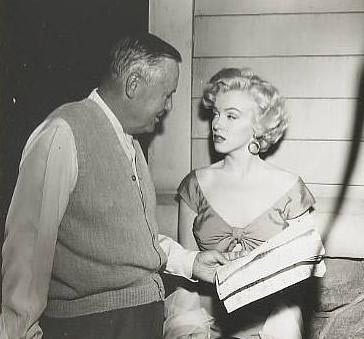 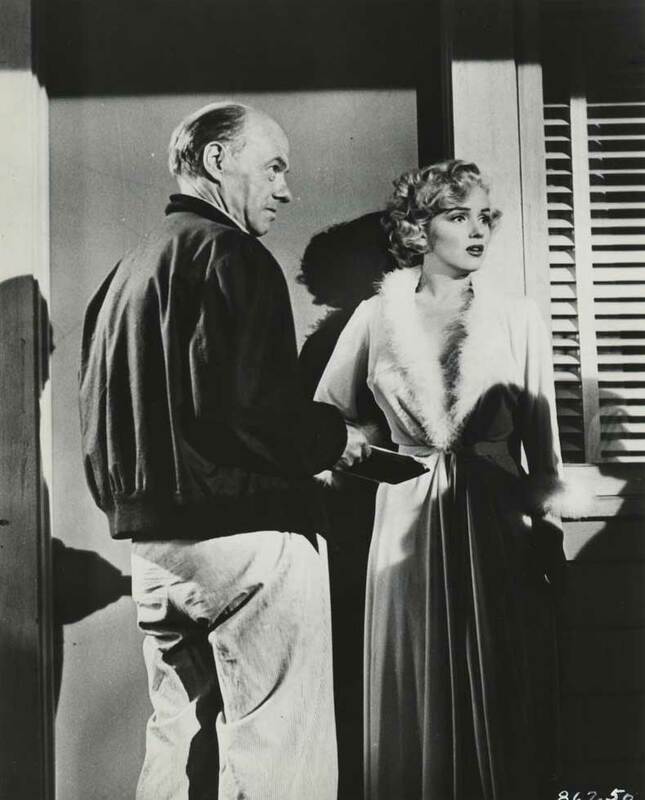 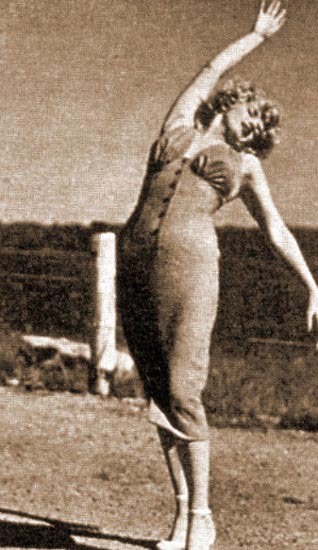 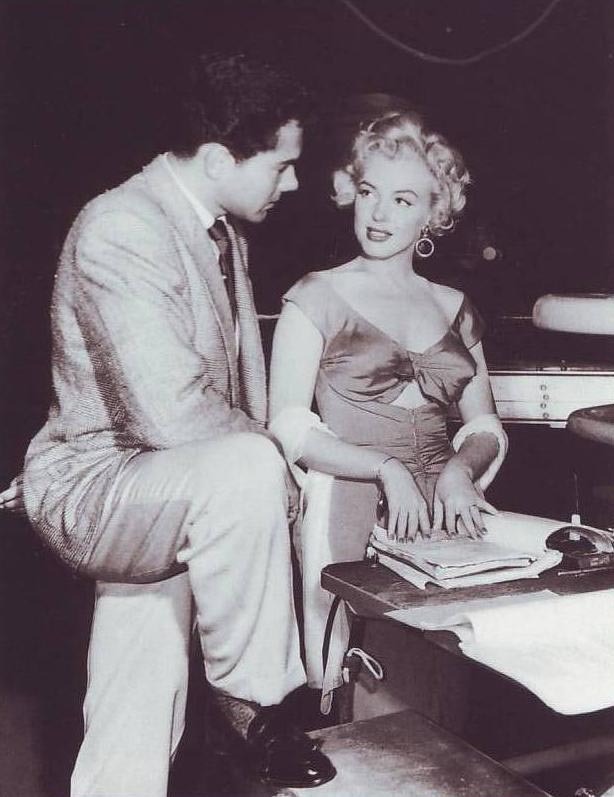 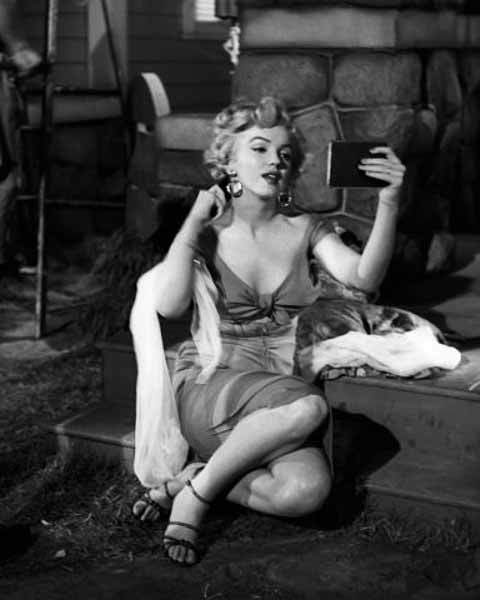 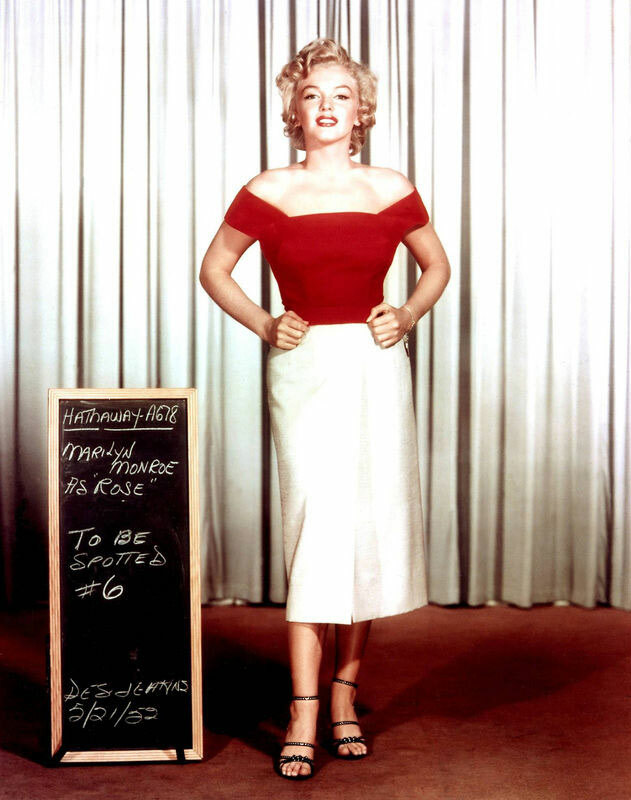 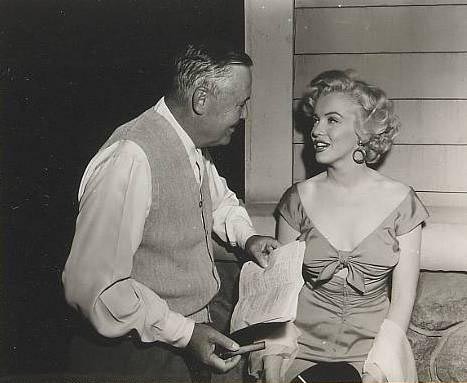 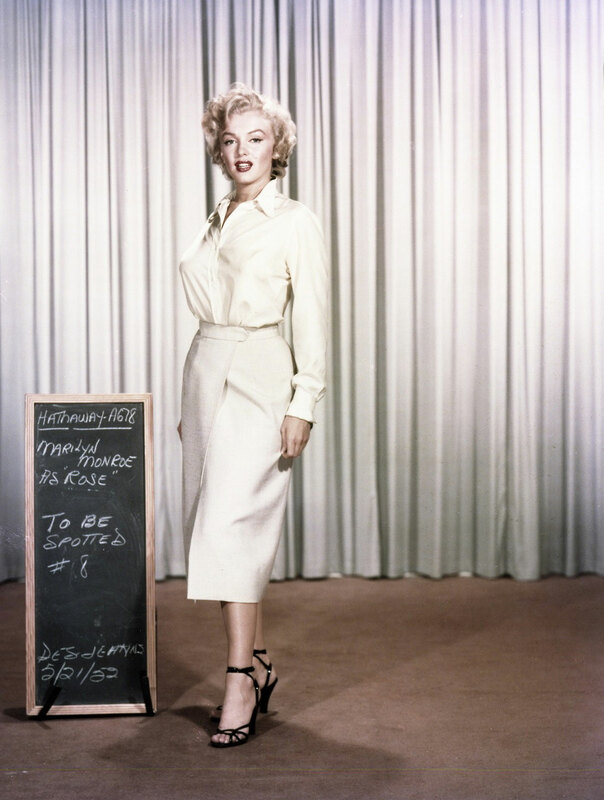 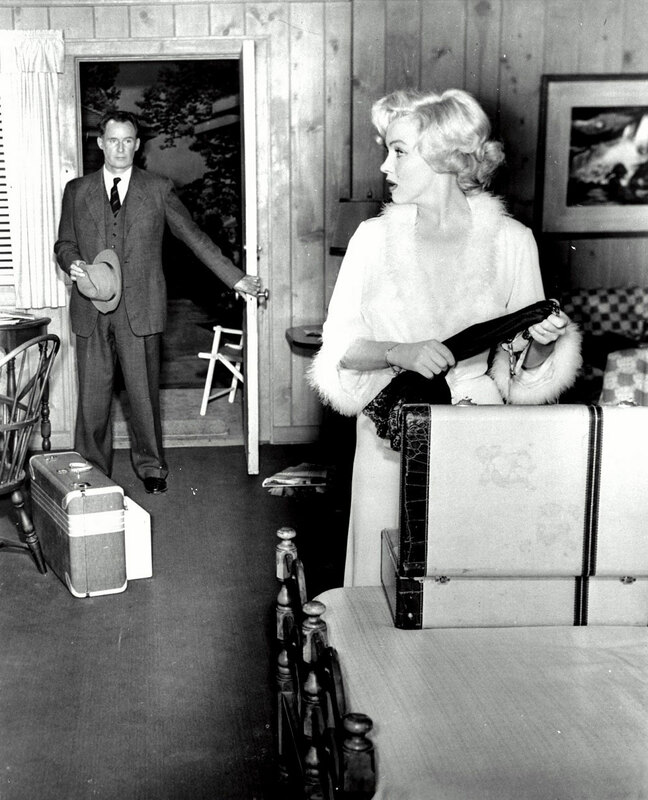 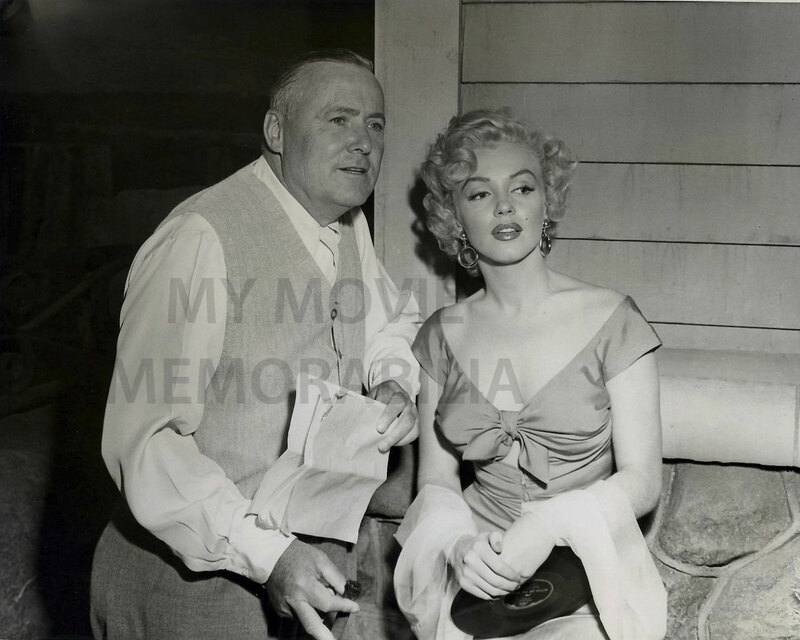 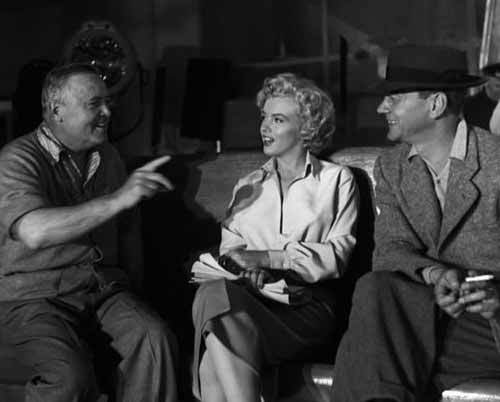 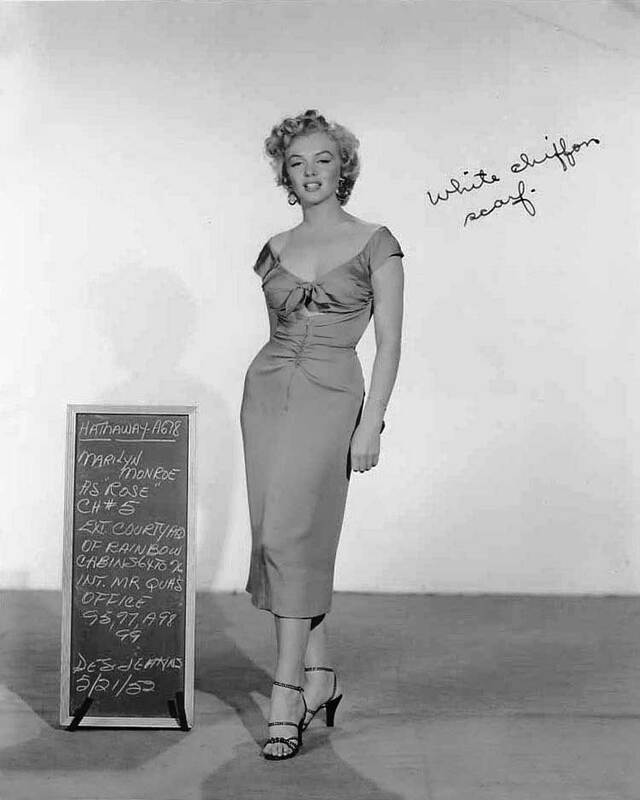 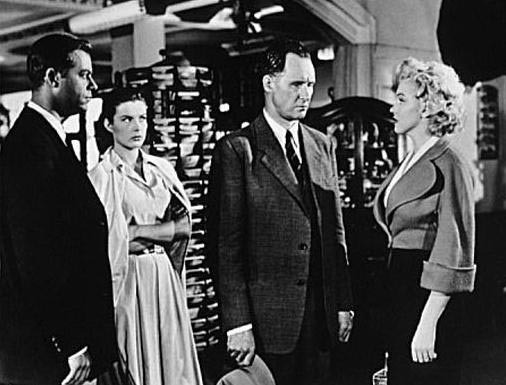 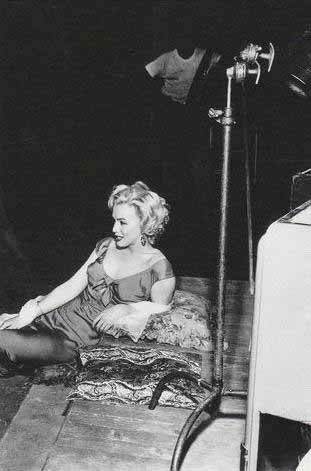 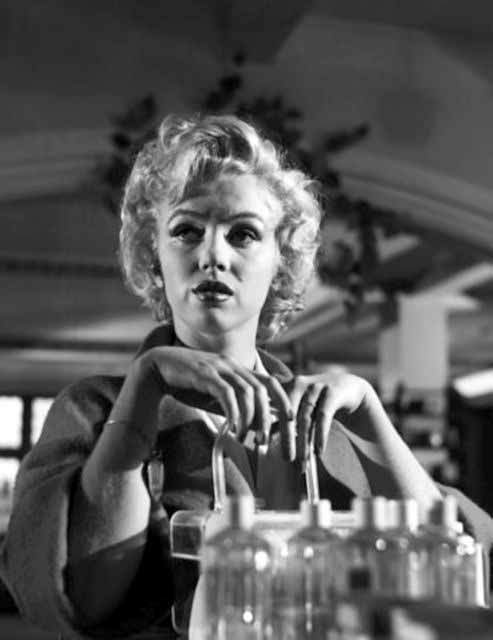 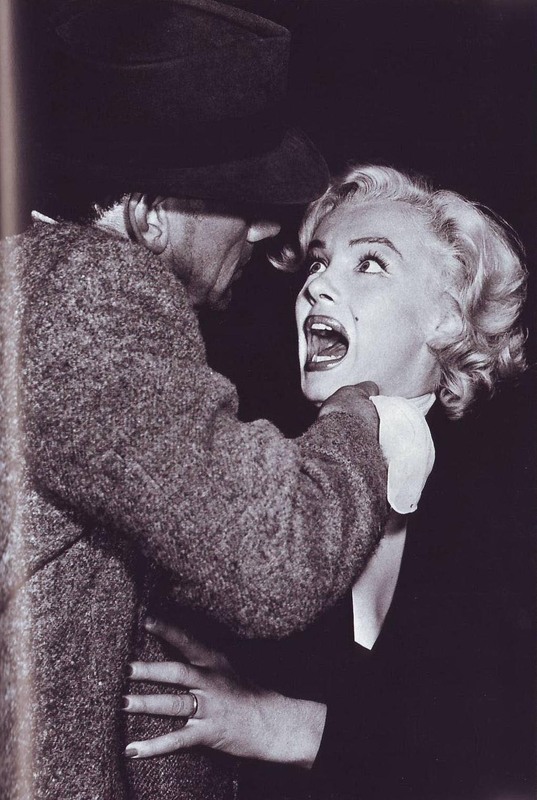 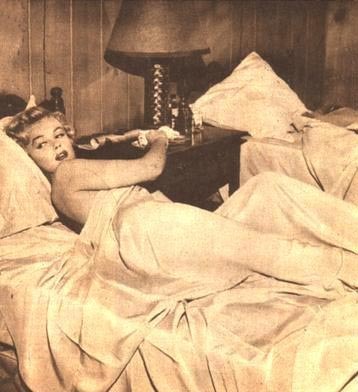 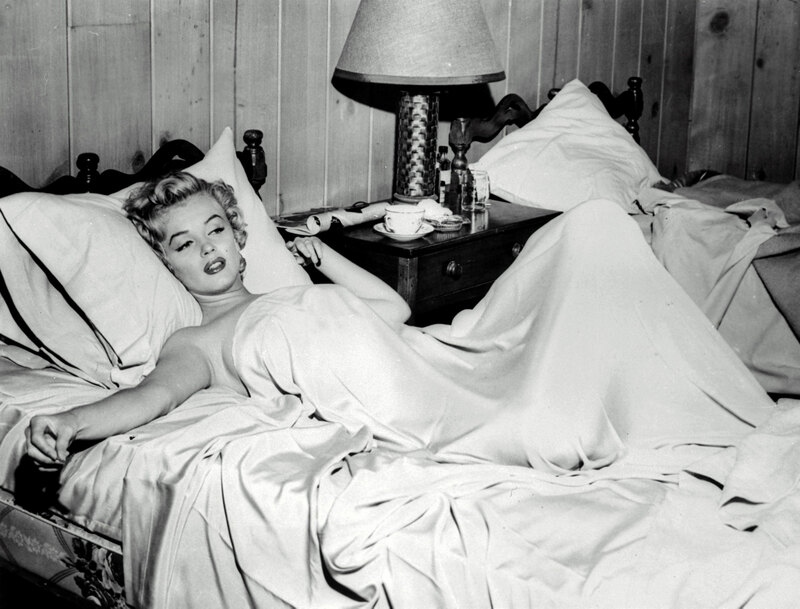 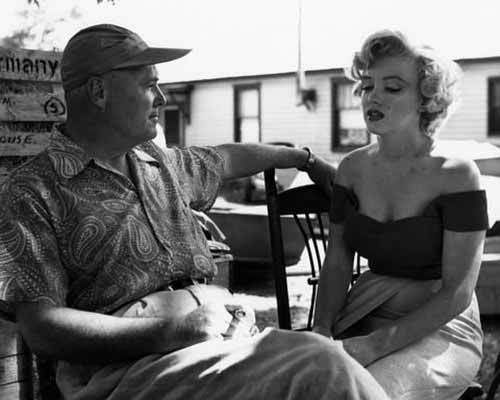 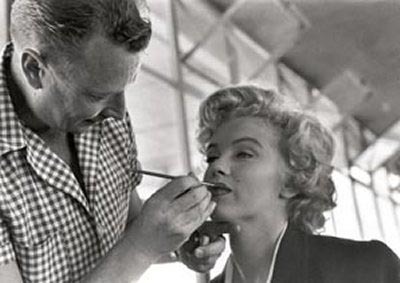 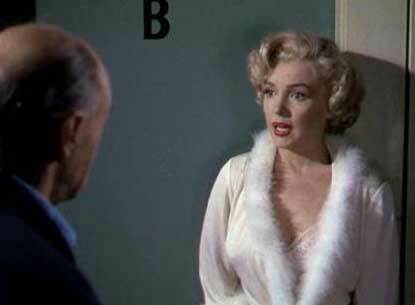 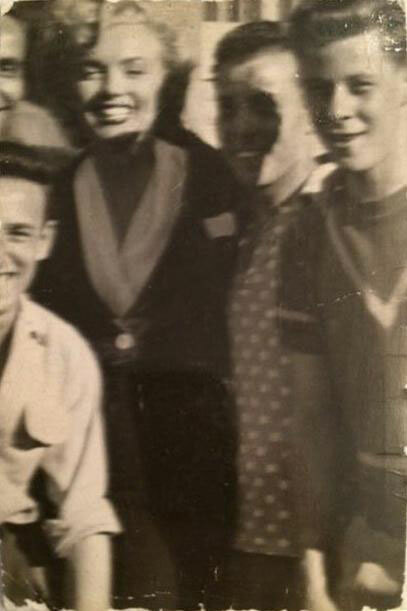 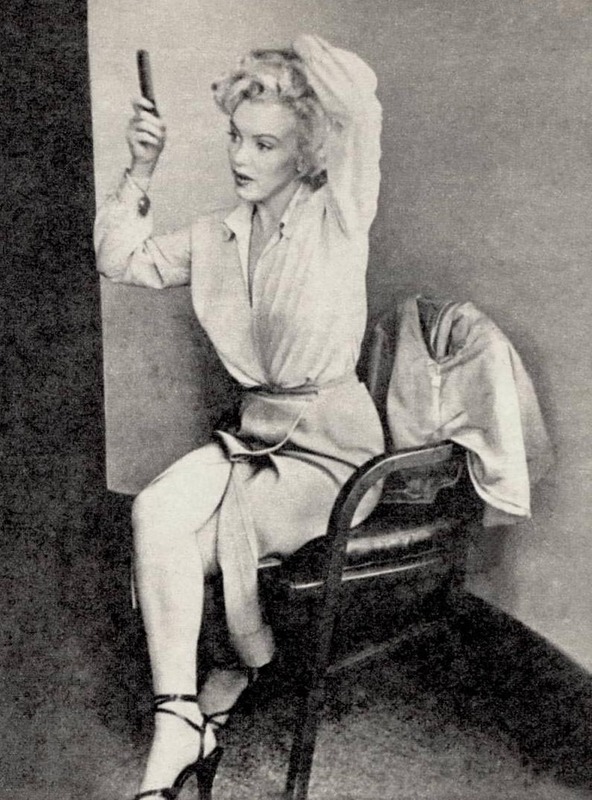 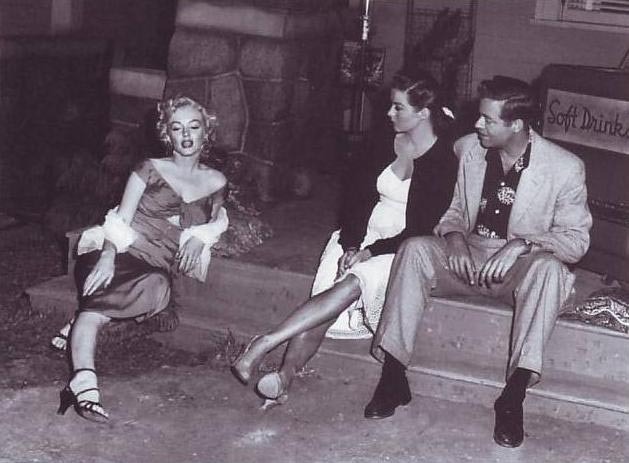 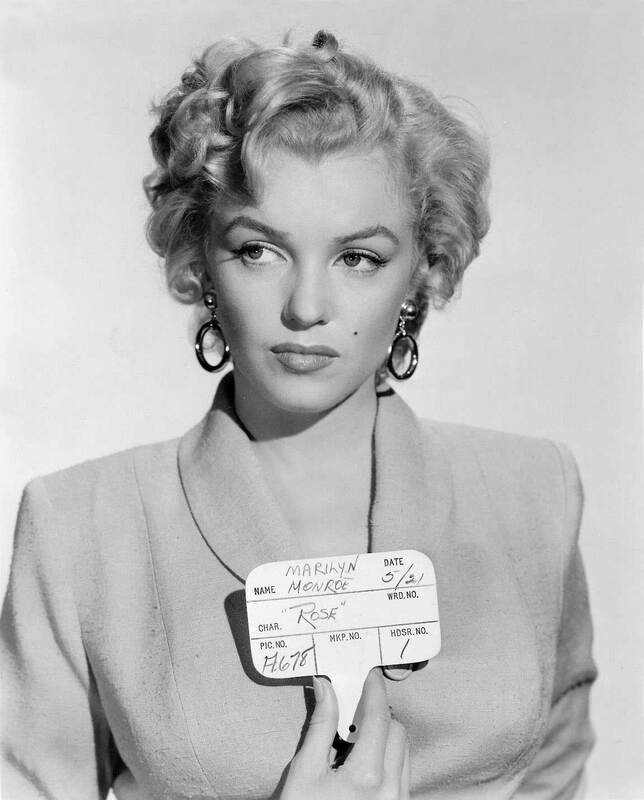 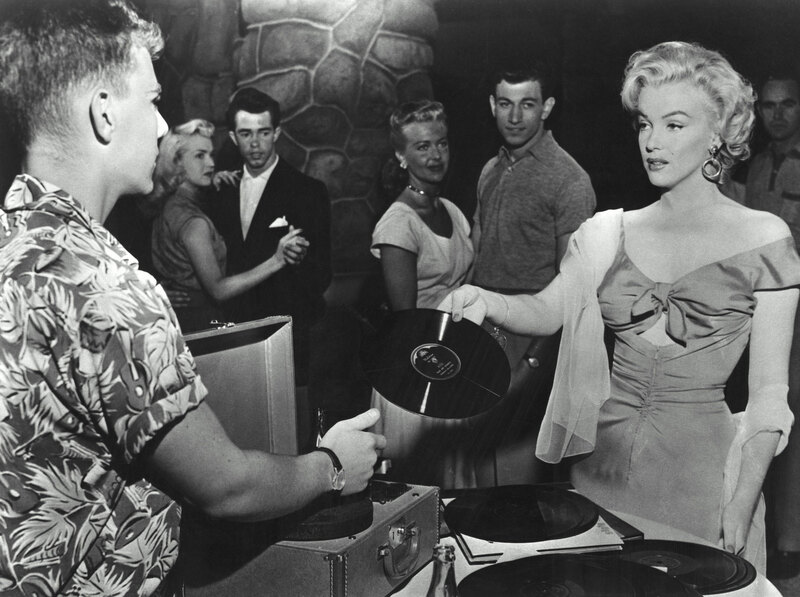 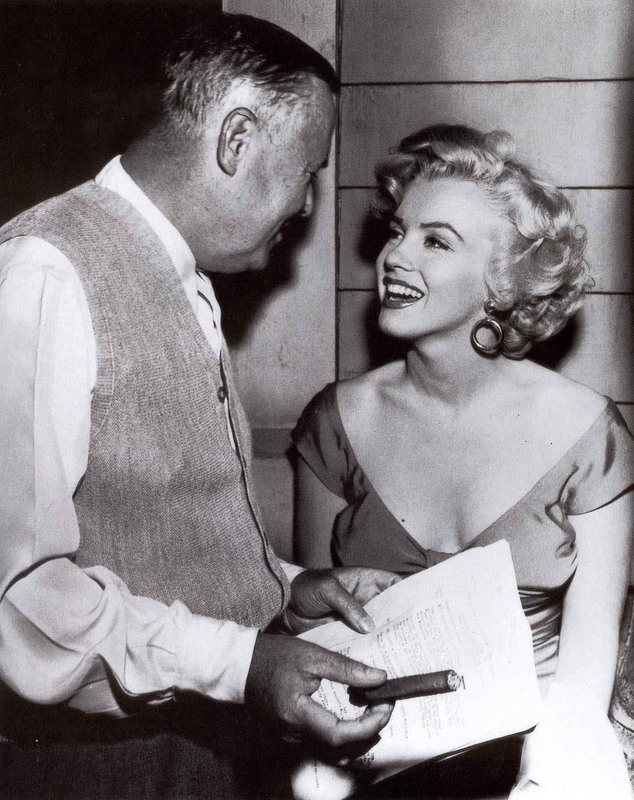 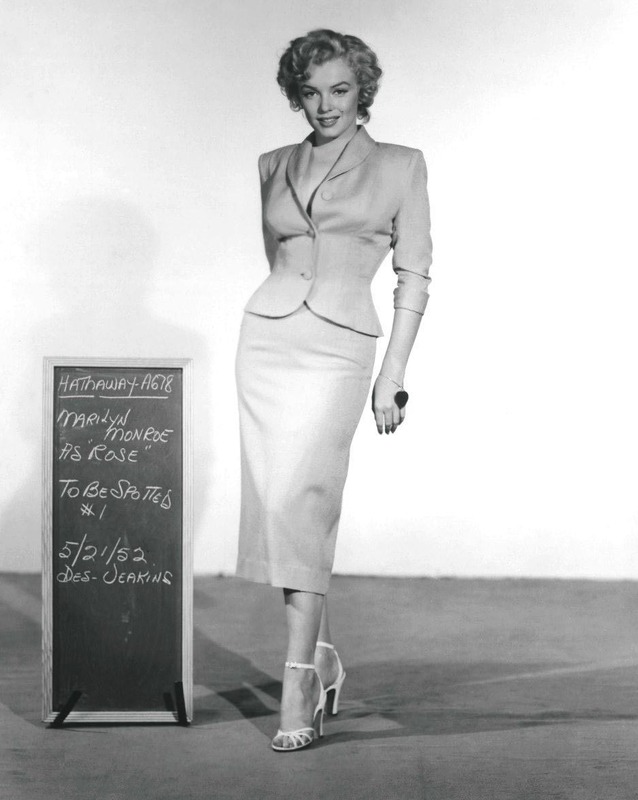 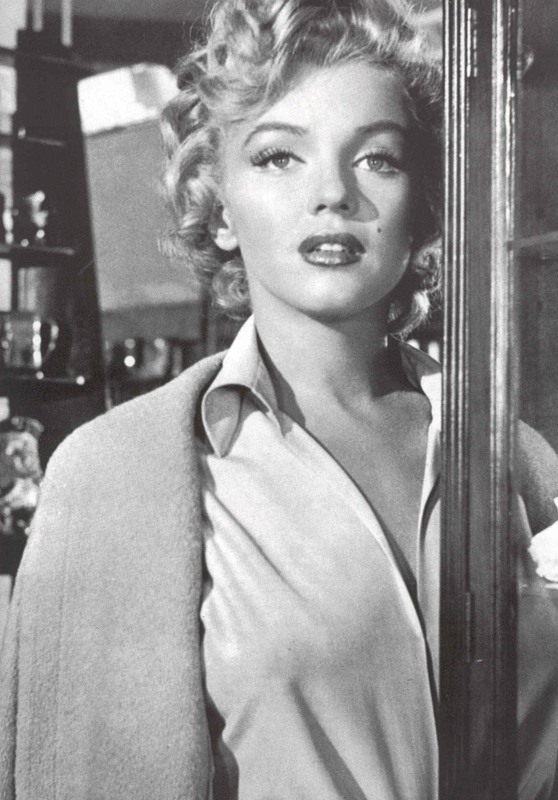 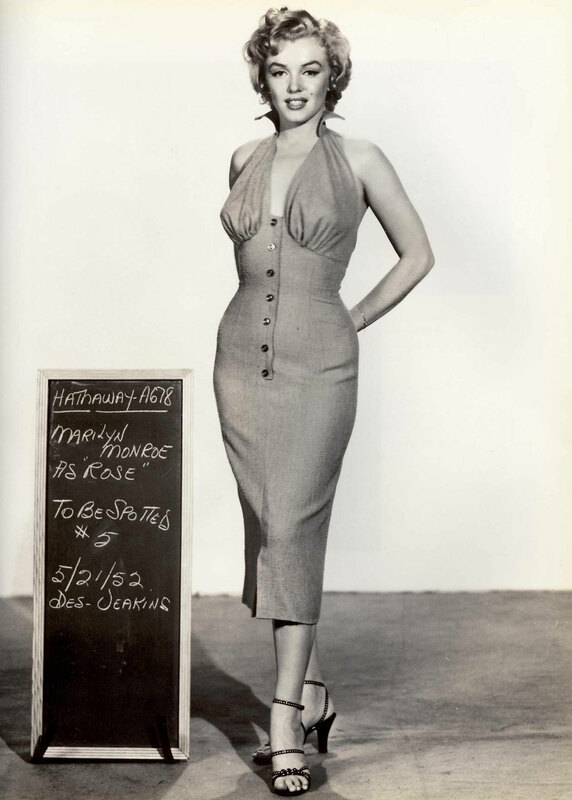 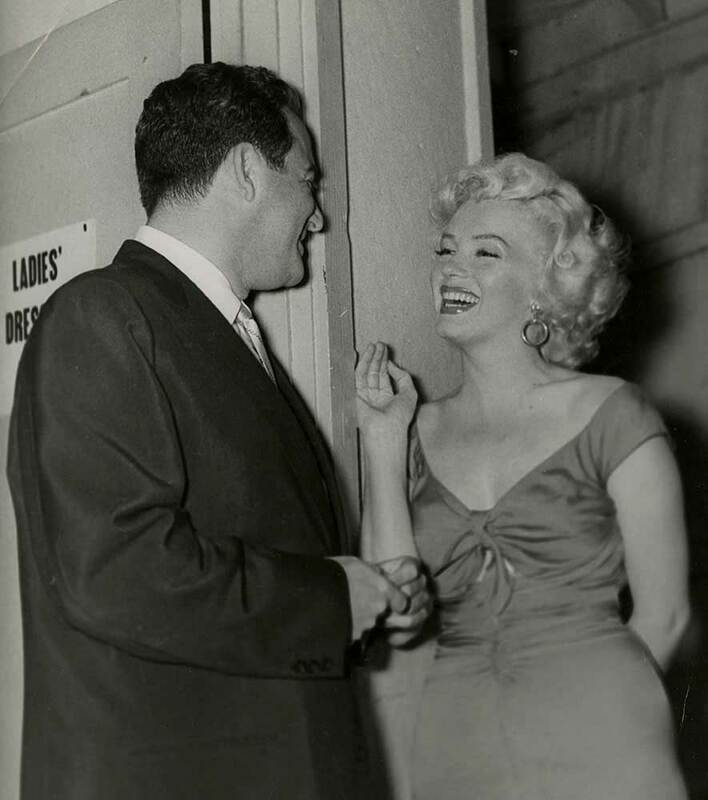 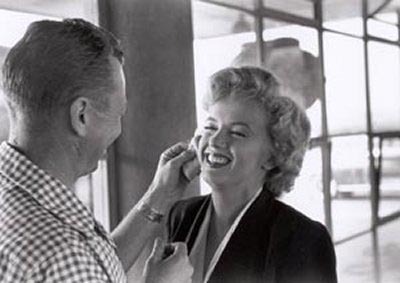 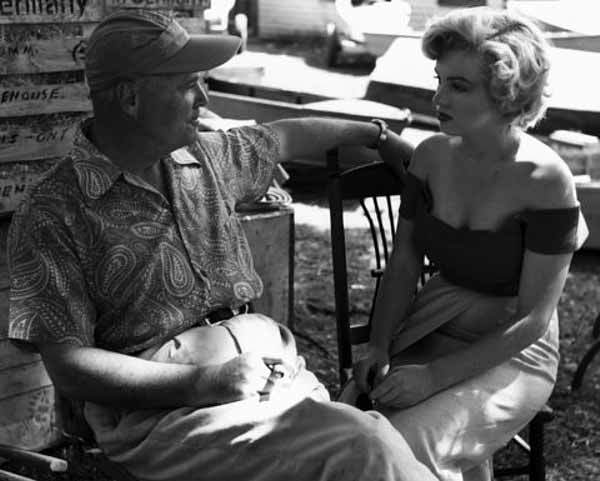 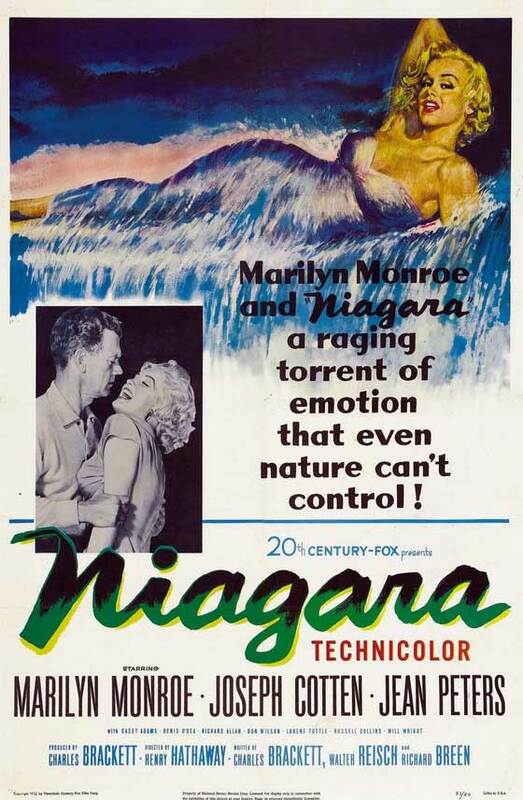 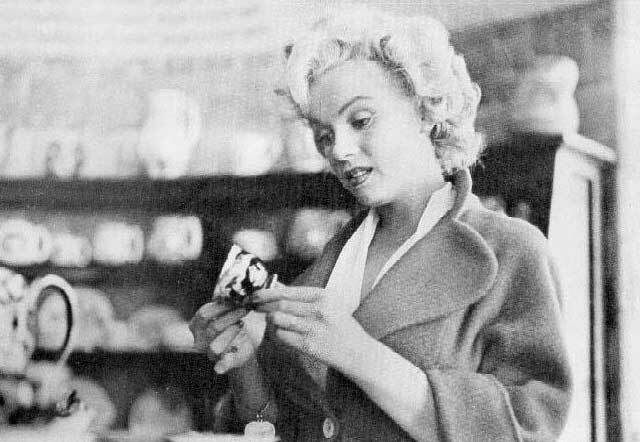 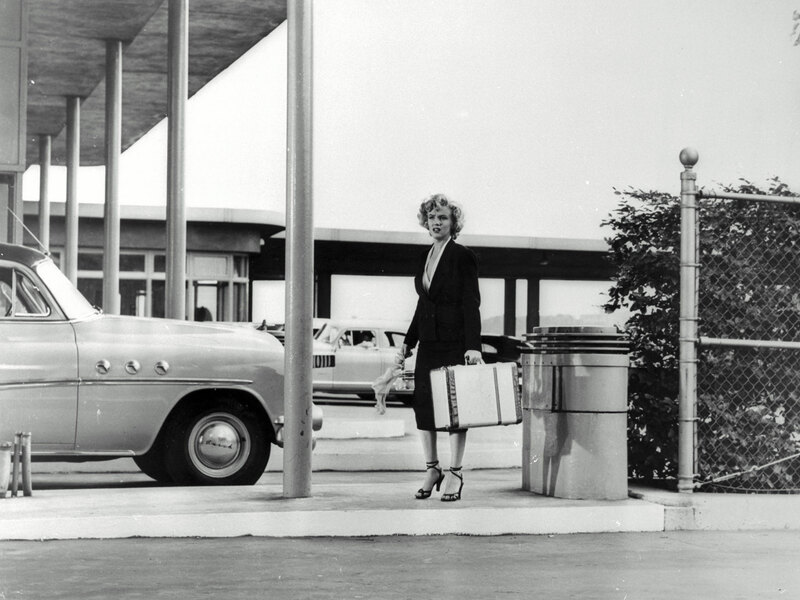 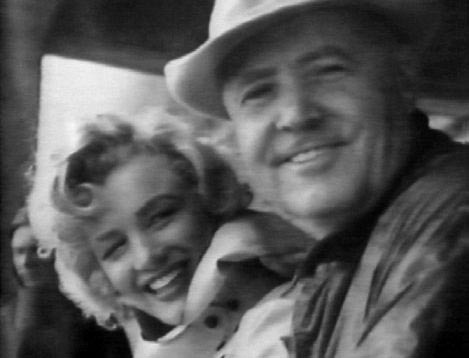 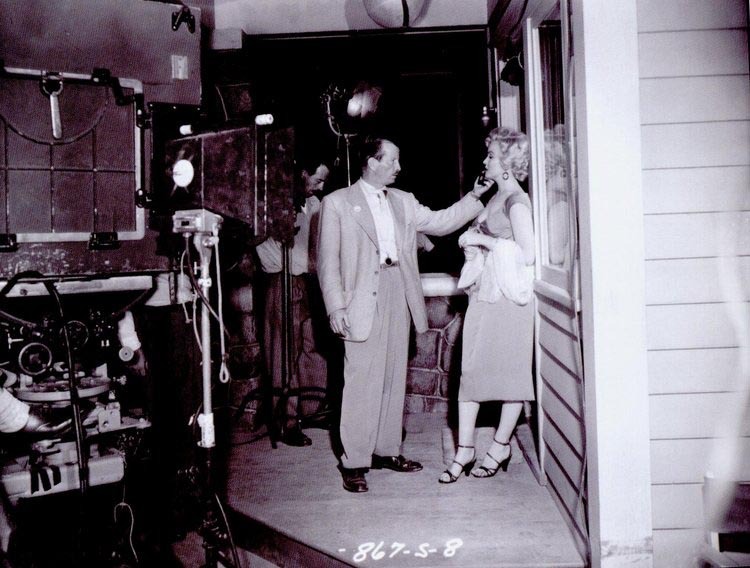 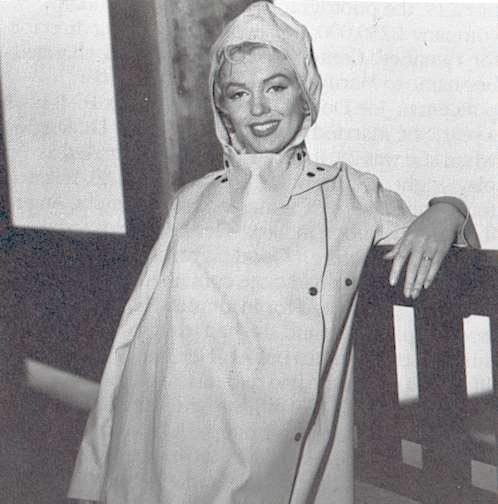 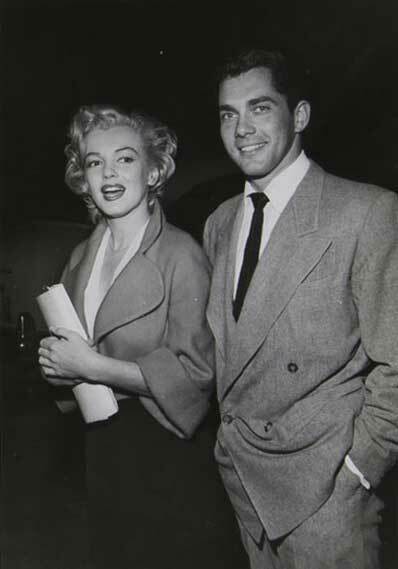 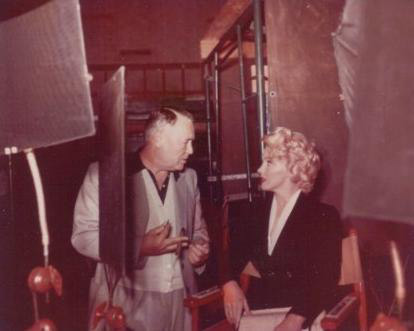 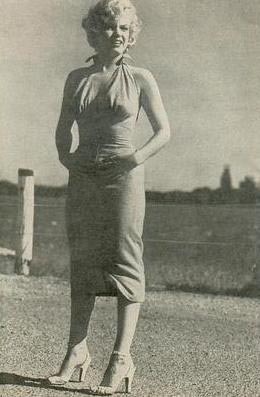 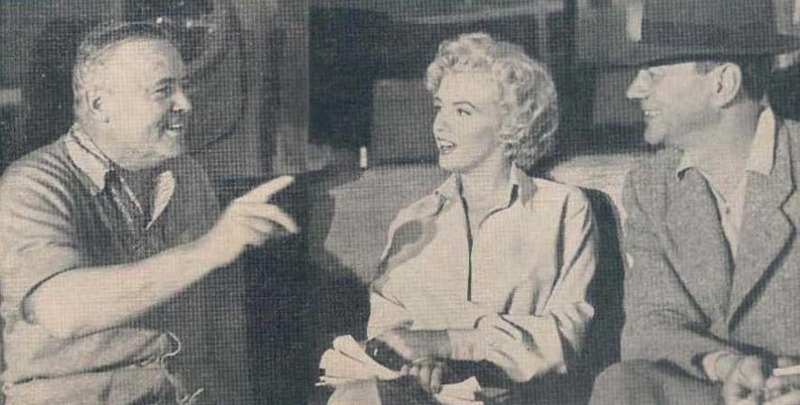 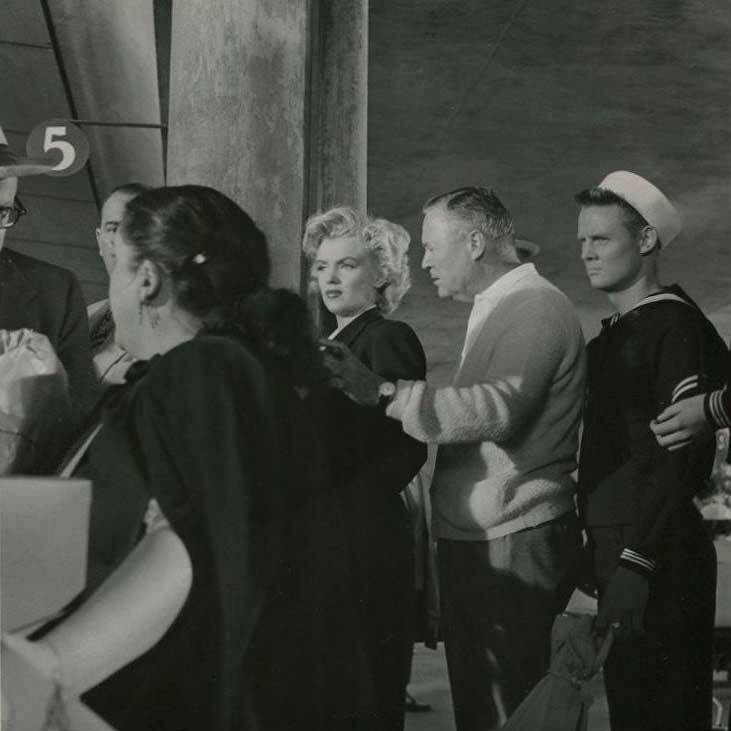 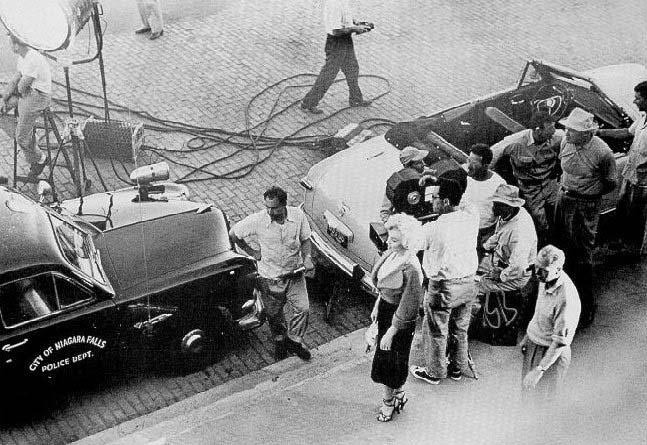 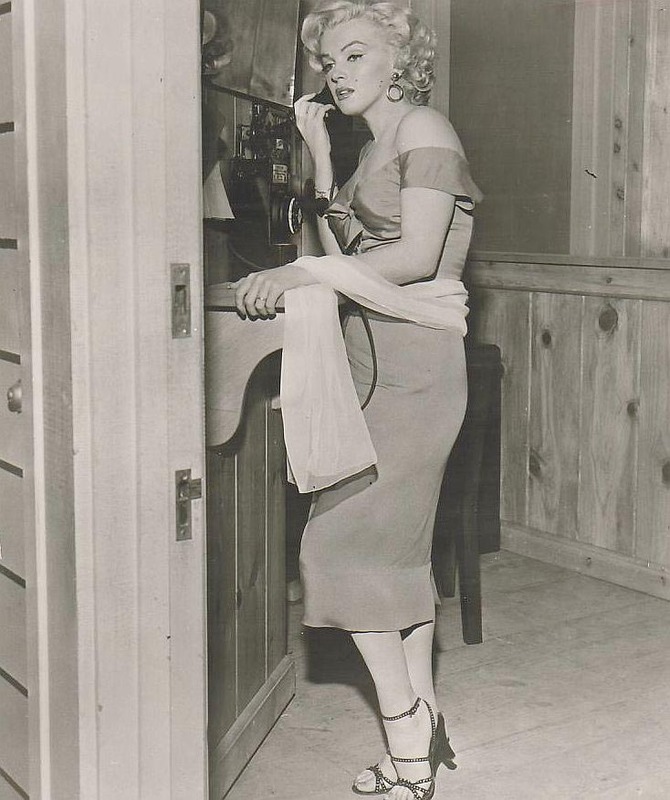 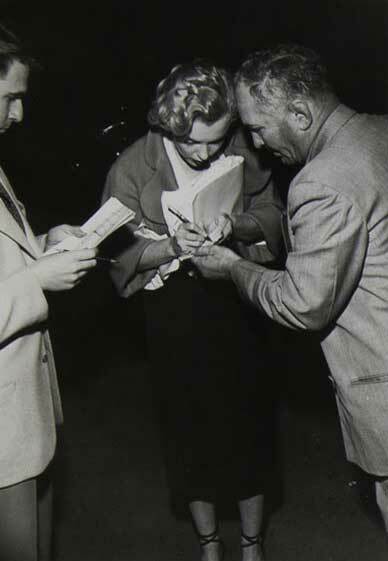 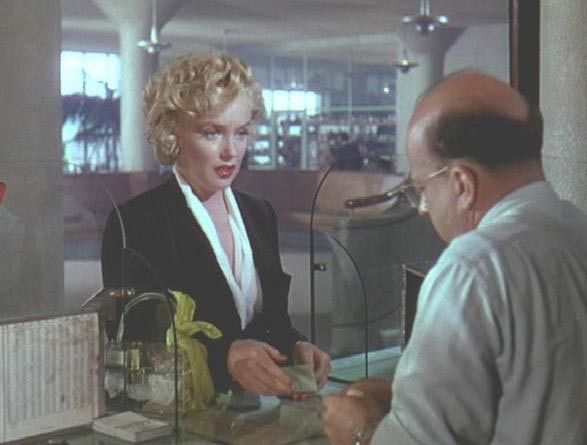 In "Niagara", Marilyn had, for the second time, the leading role. 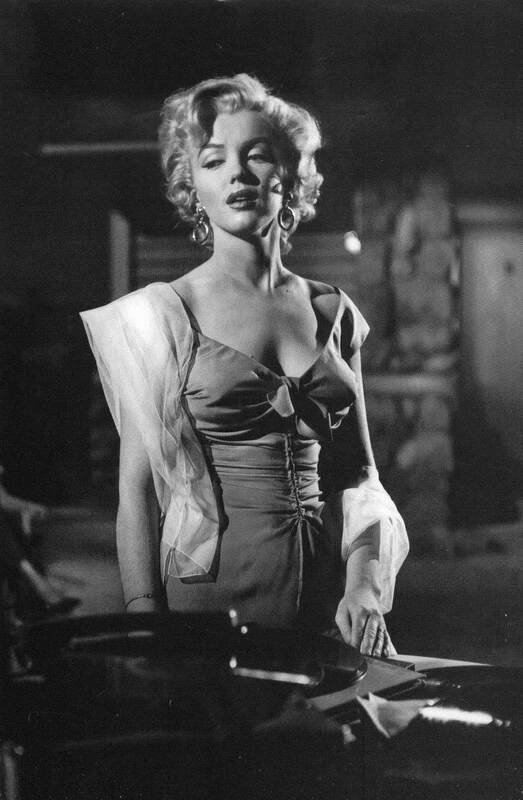 She played a woman within who the evil and the sexual temptation coexist, until the evil triumphs and she decides to kill her husband. 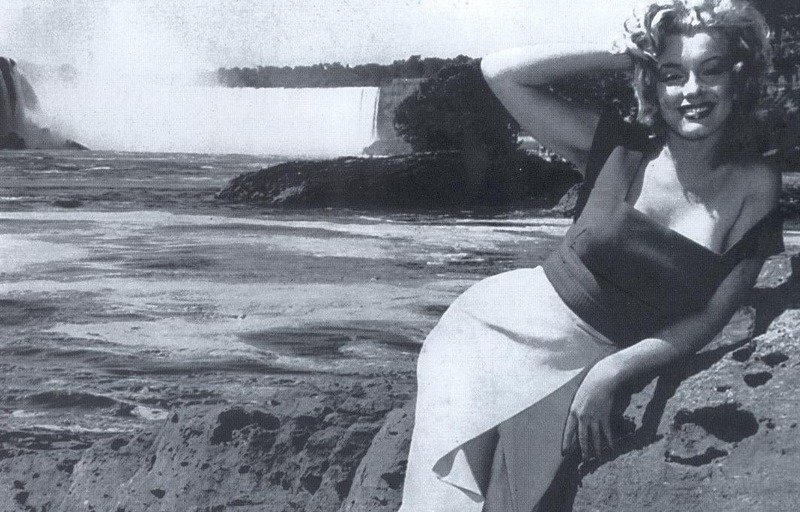 She shared the bill with another nature phenomenon : the Niagara falls. 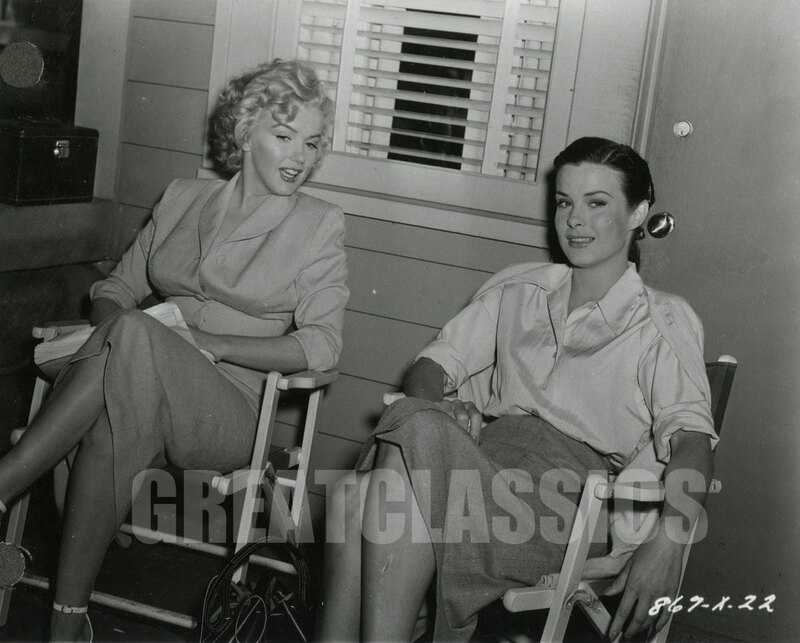 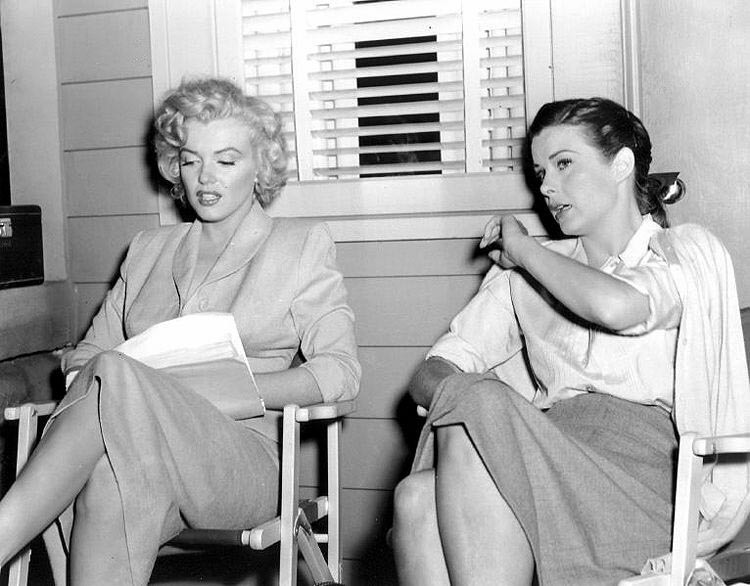 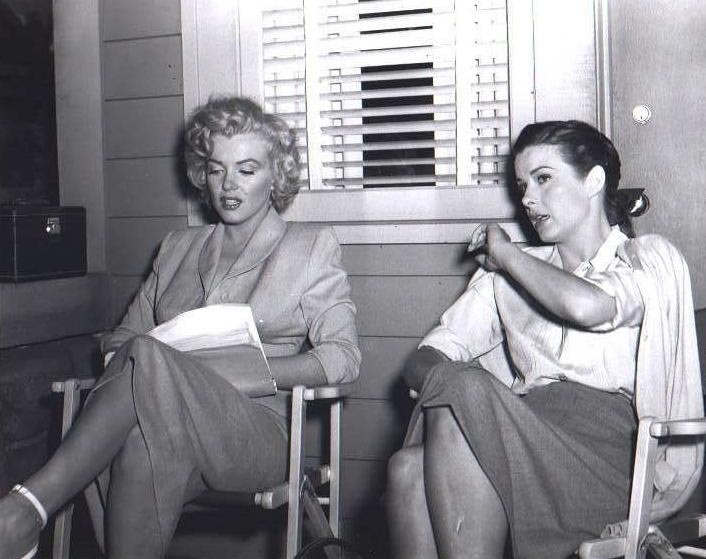 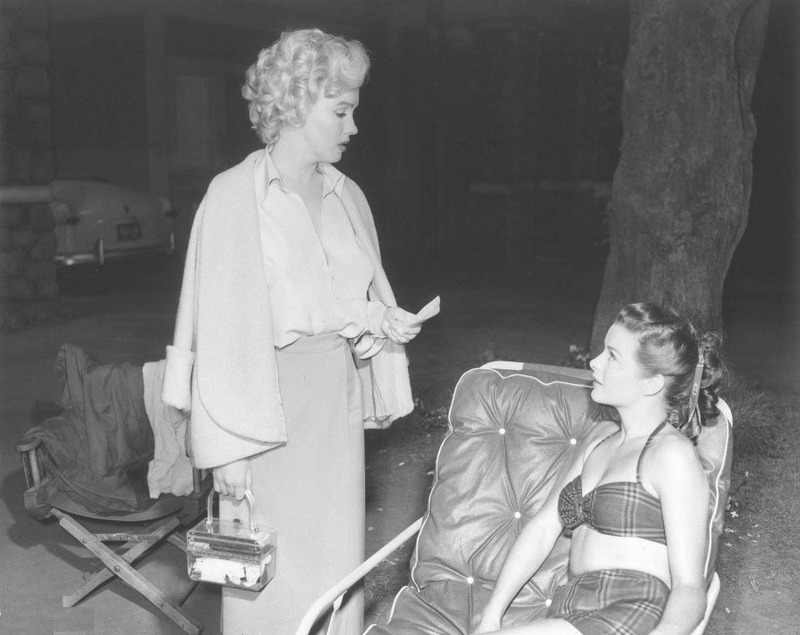 During the preliminary work of the movie, Anne Baxter - who played the part of Polly Cutler - left the set : her part had been widely reduced not to offend the two stars of the movie, Marilyn and the waterfalls; Jean Peters obtained the part. 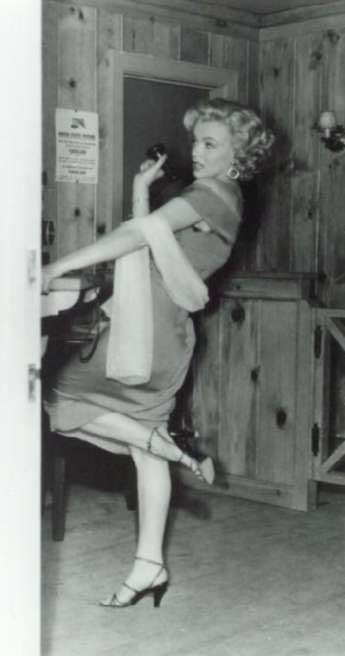 singing "Kiss Me" (song written by Lionel Newman and Haven Gillespie)( ). 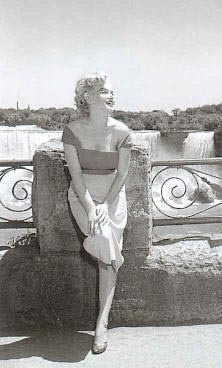 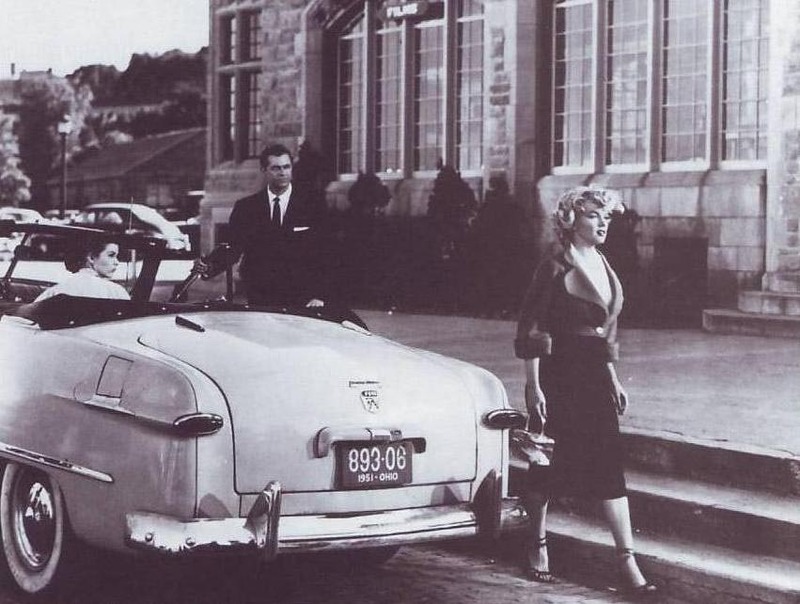 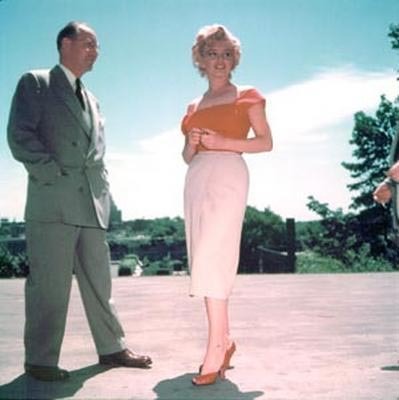 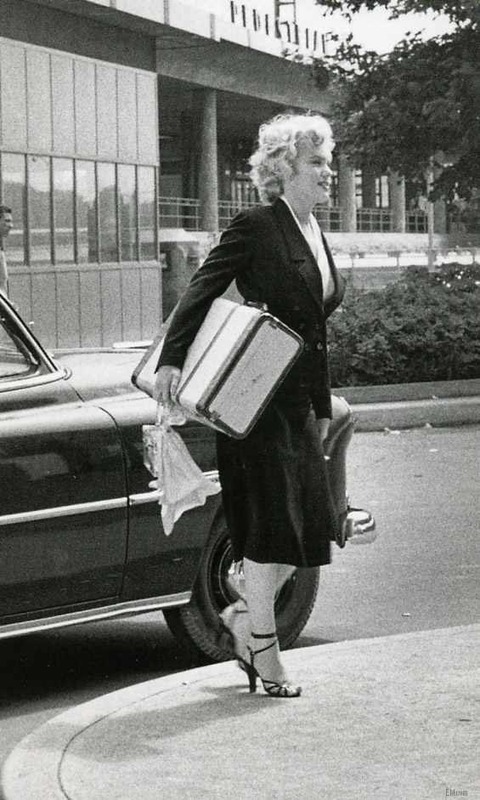 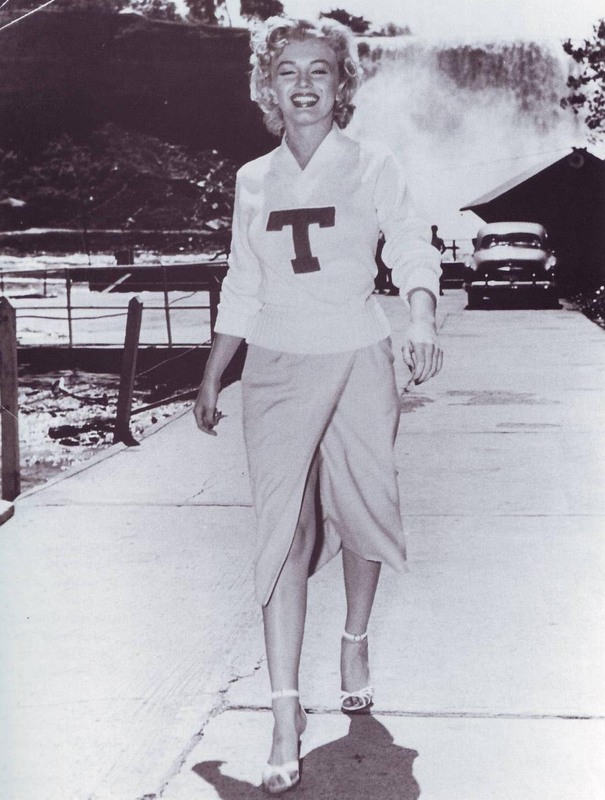 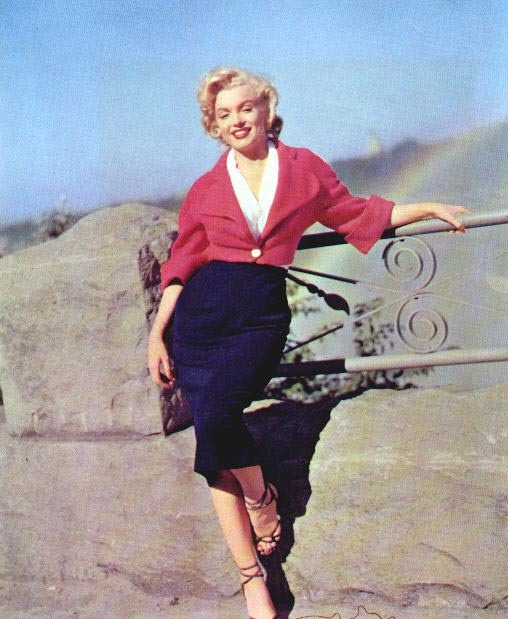 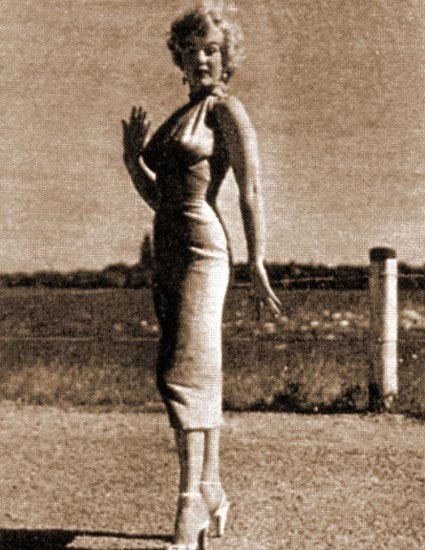 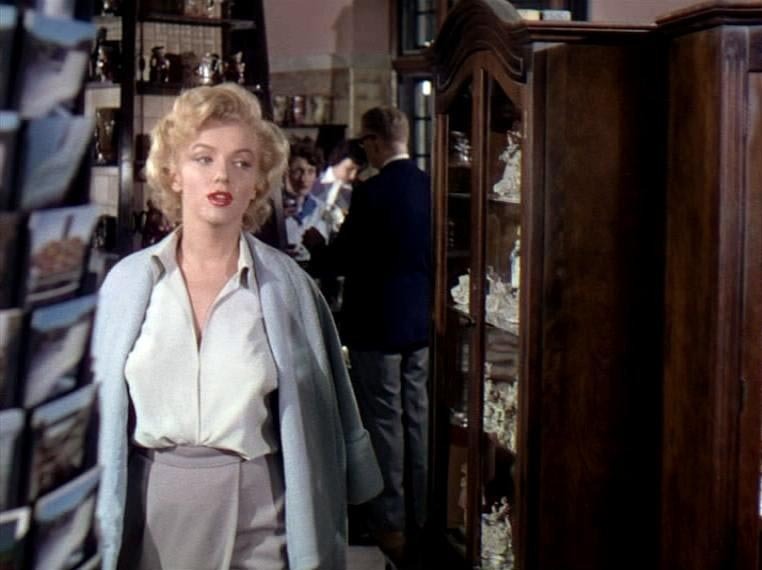 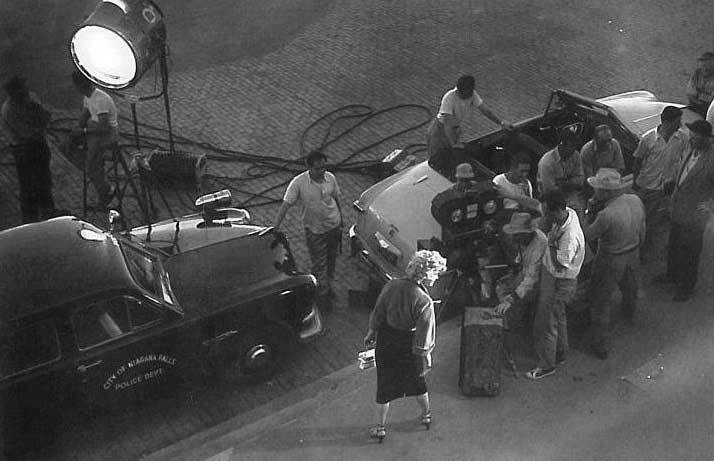 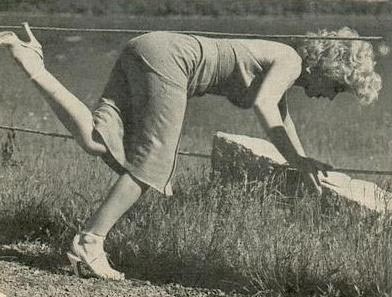 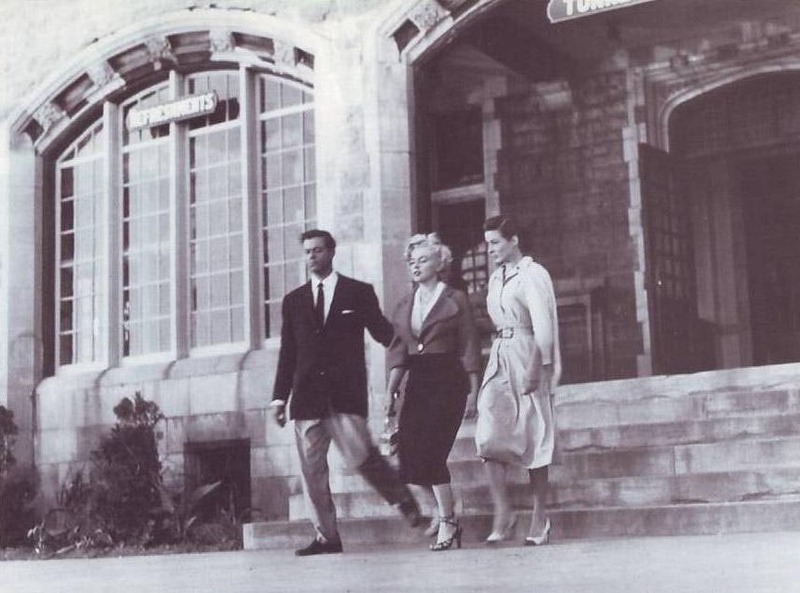 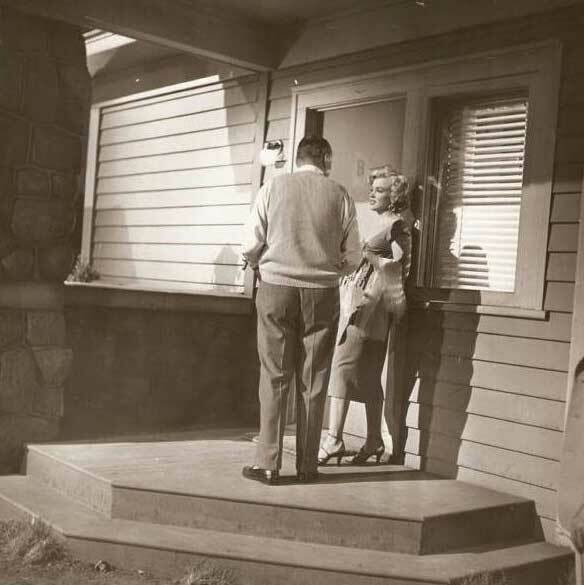 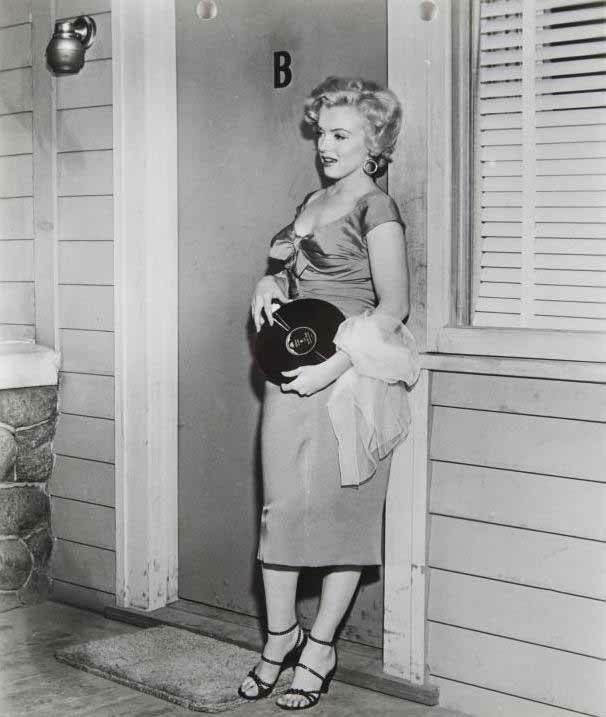 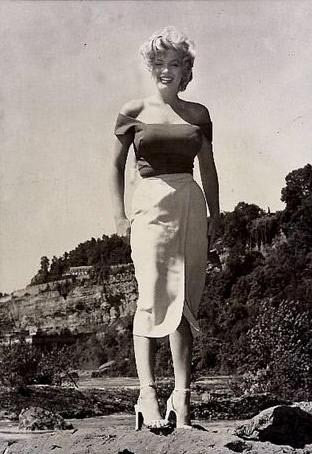 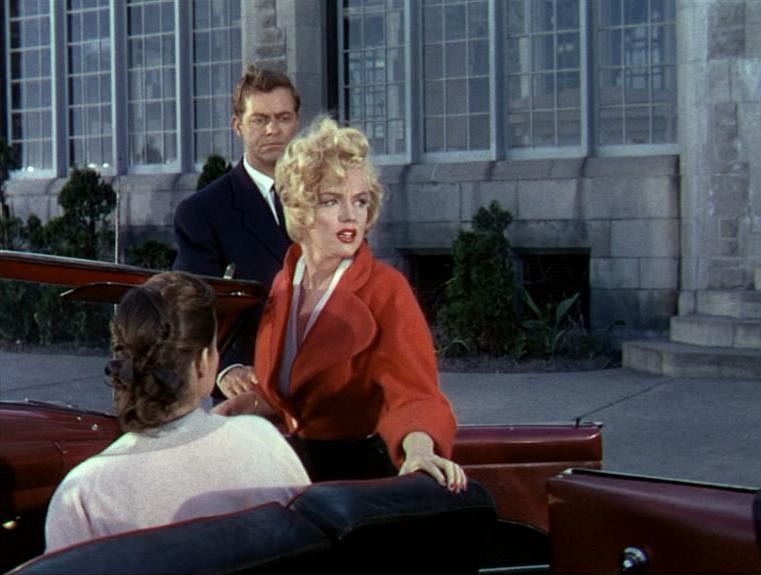 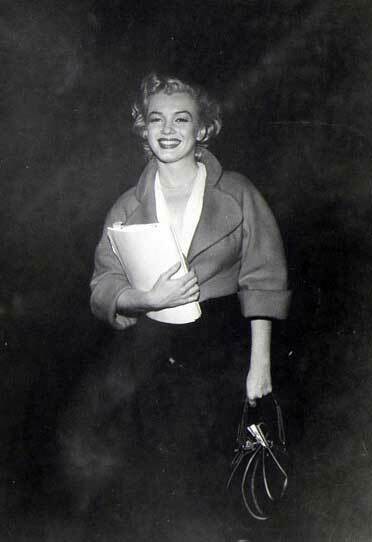 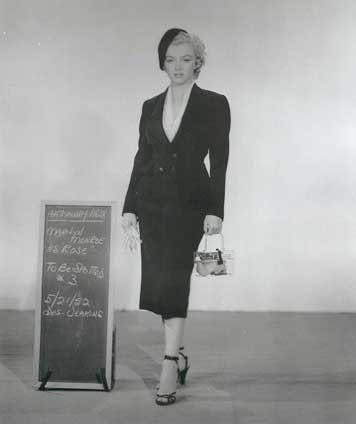 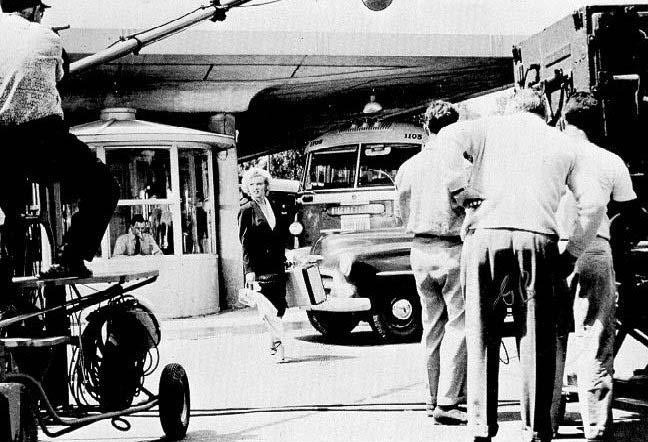 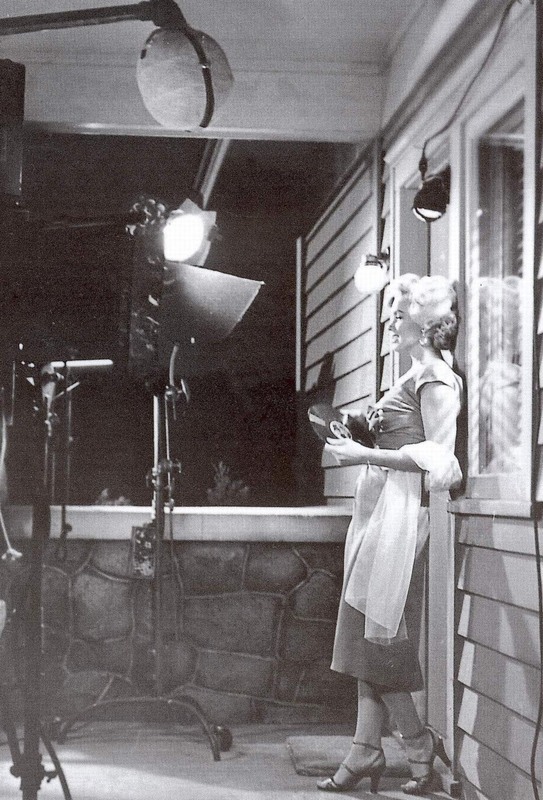 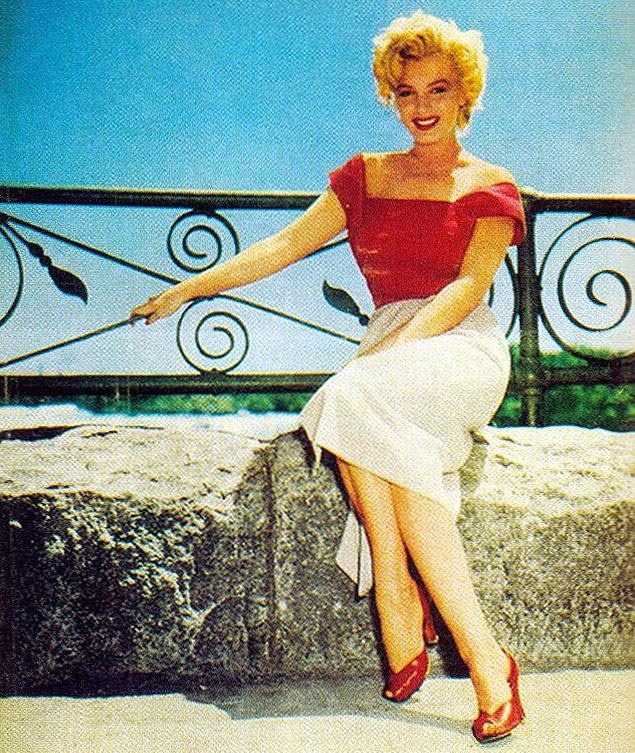 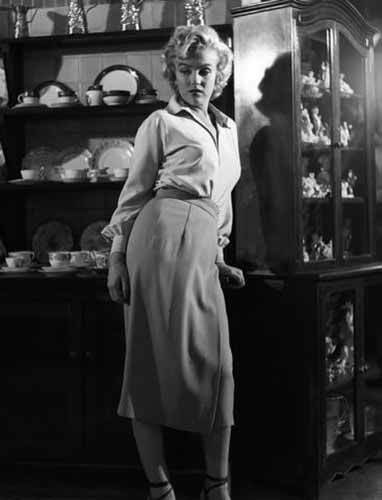 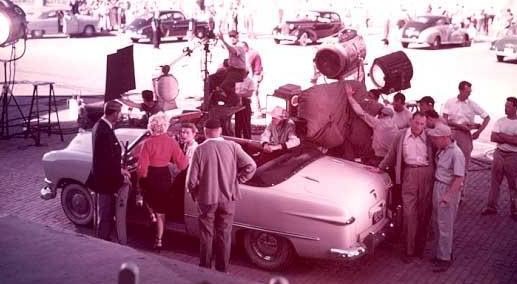 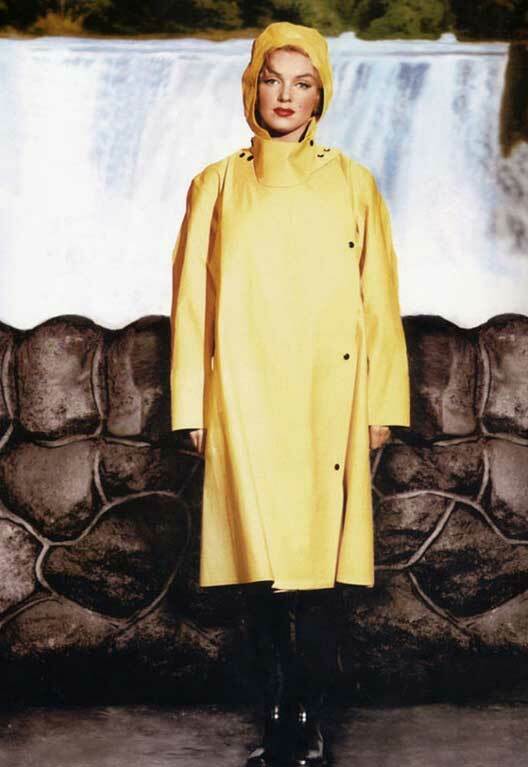 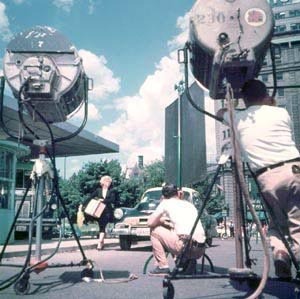 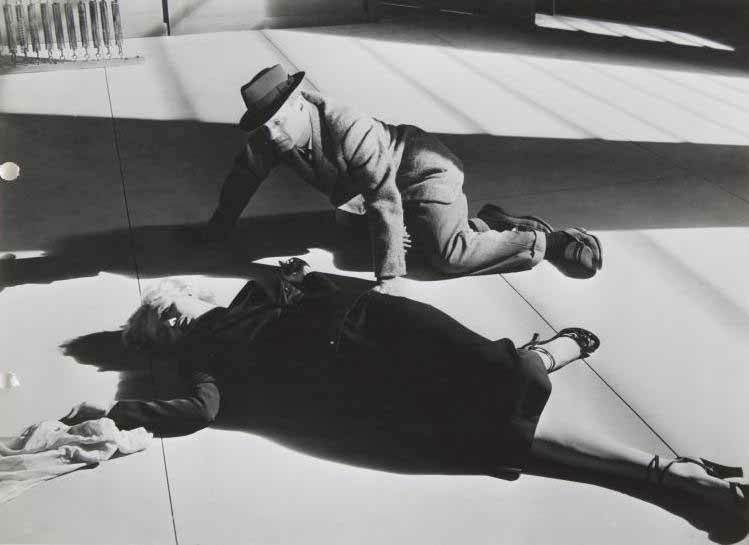 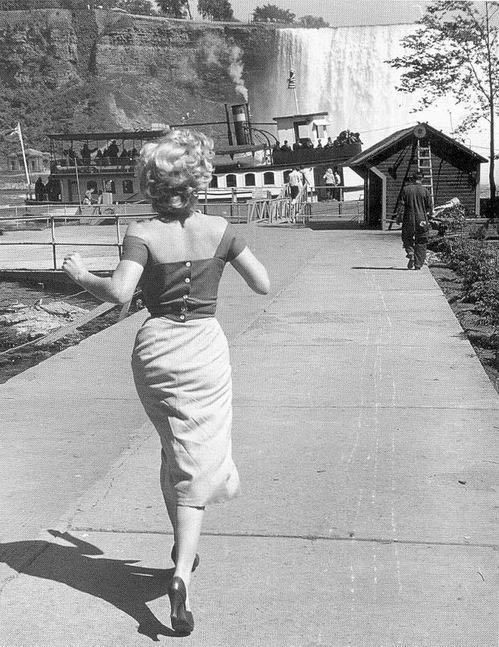 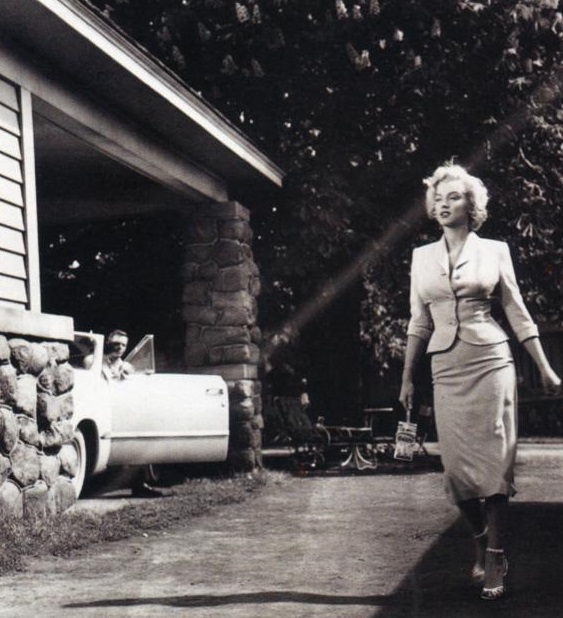 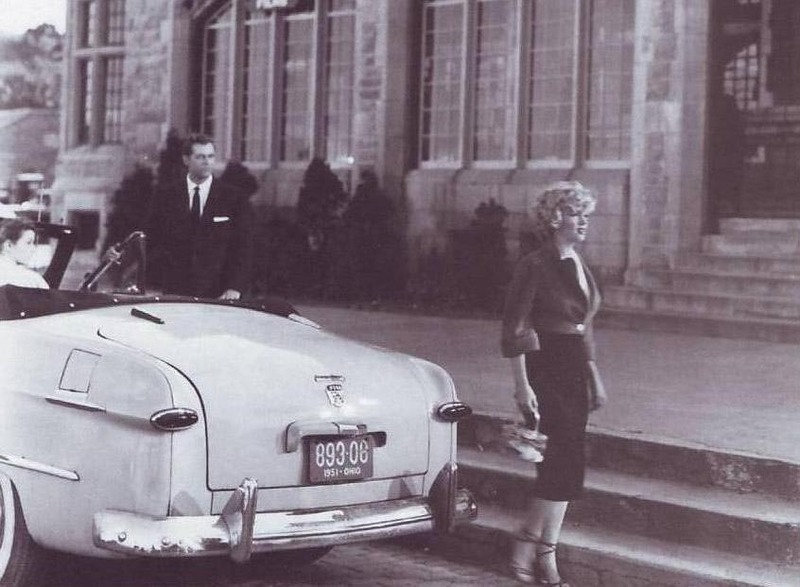 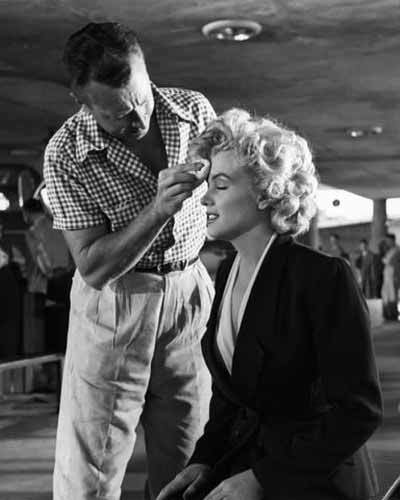 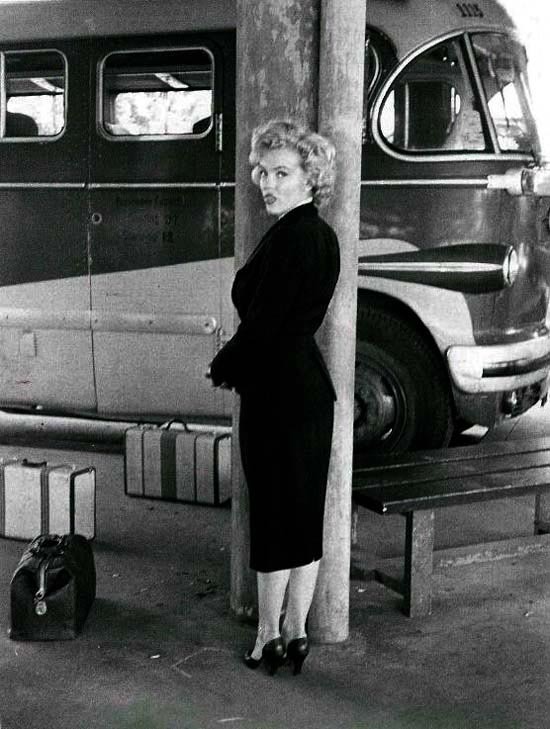 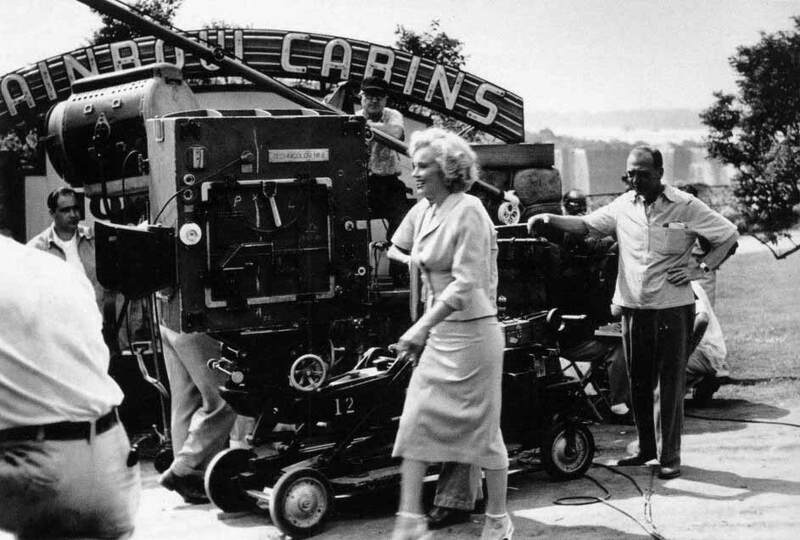 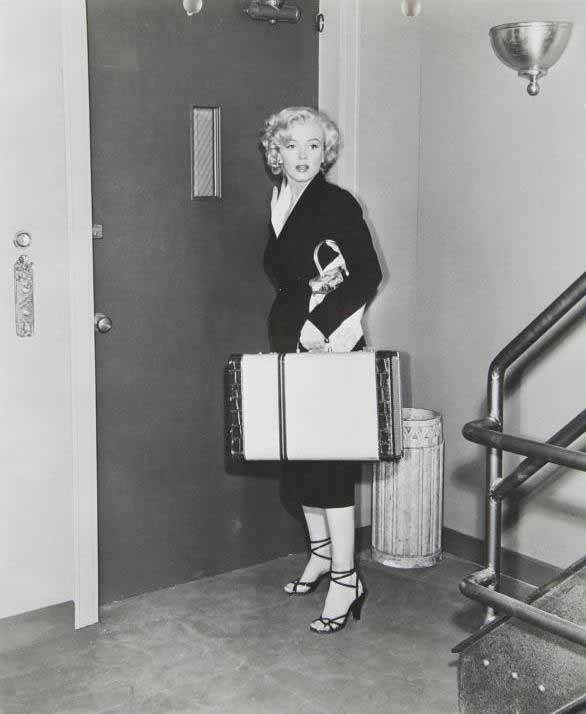 In "Niagara", Marilyn did what at that time was considered as the most longer walking scene of the cinema. 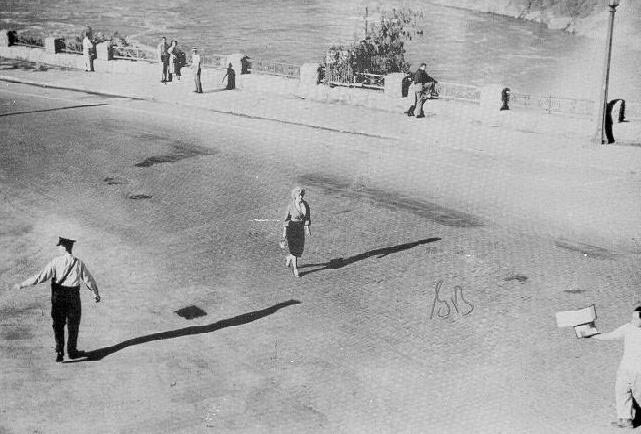 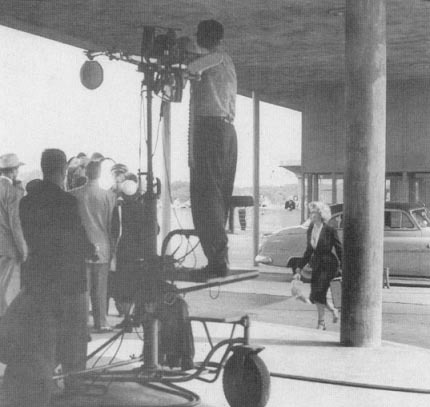 On 35 meters, "the girl with the horizontal walk", as she was therefore nicknamed, moved away from the movie camera in a very tight-fitting black suit. 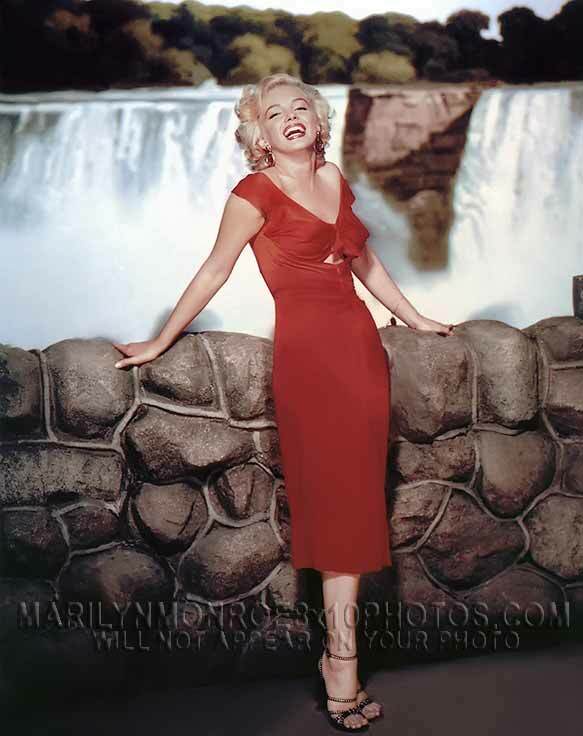 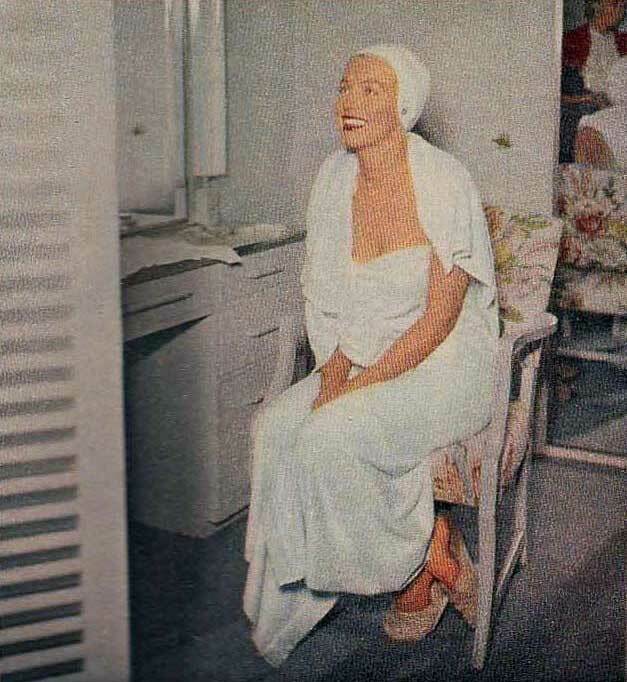 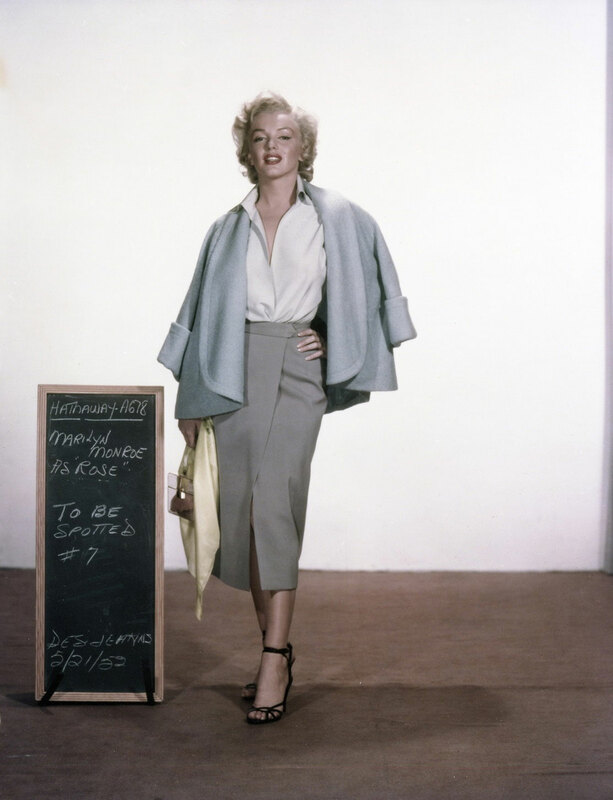 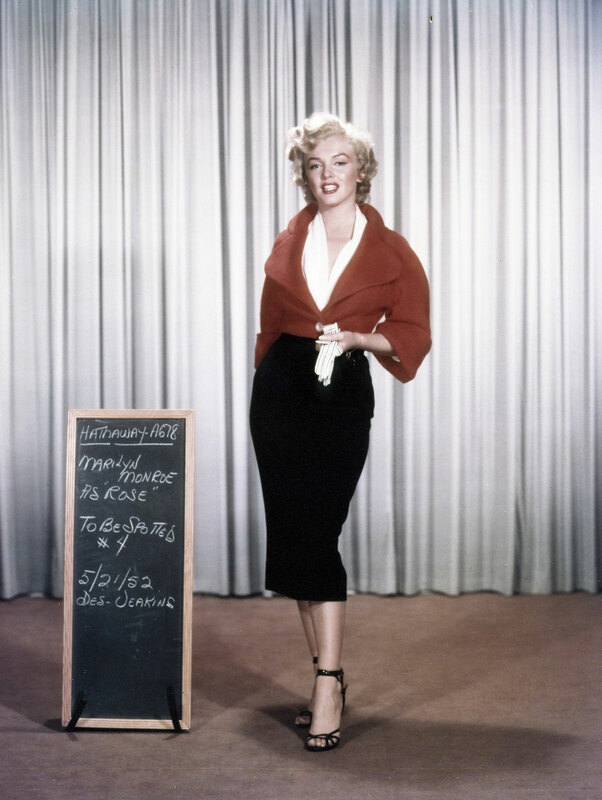 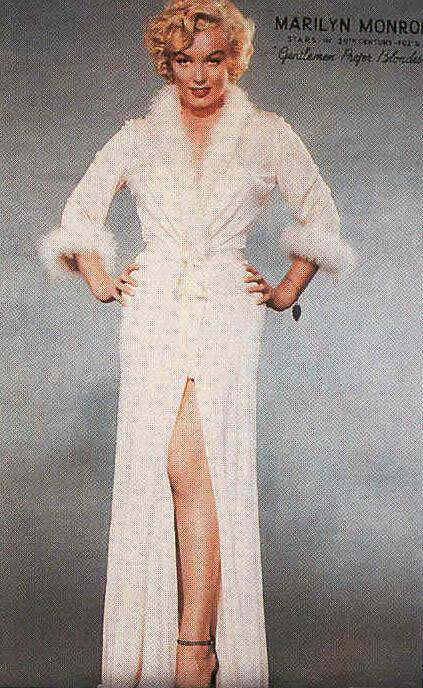 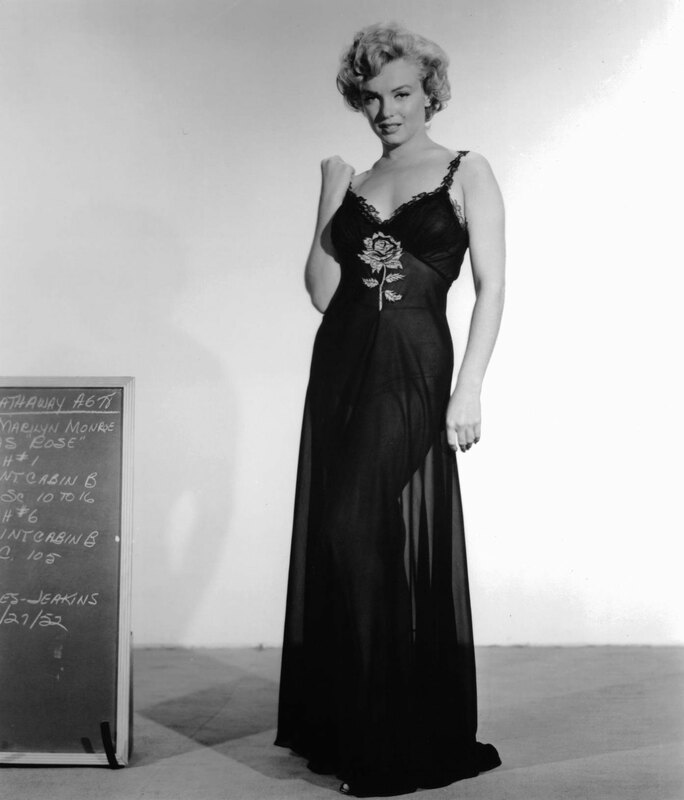 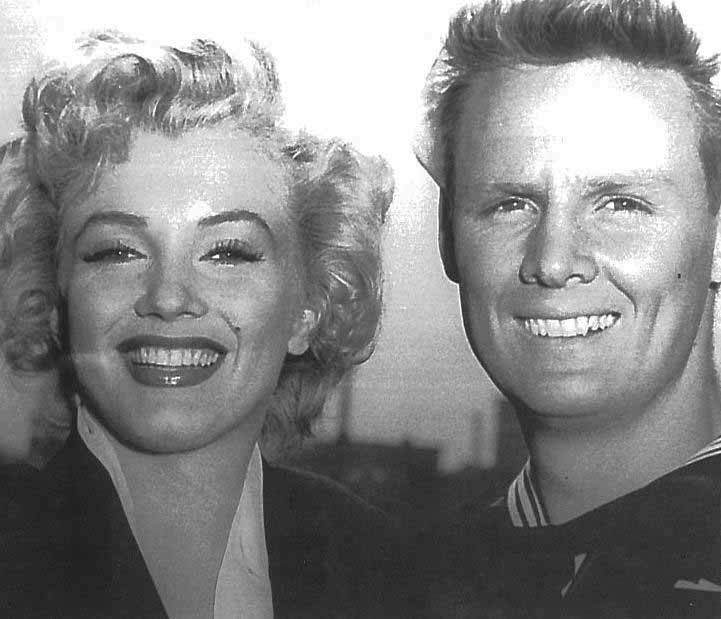 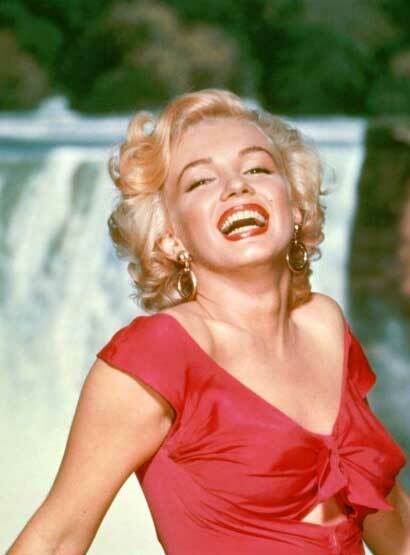 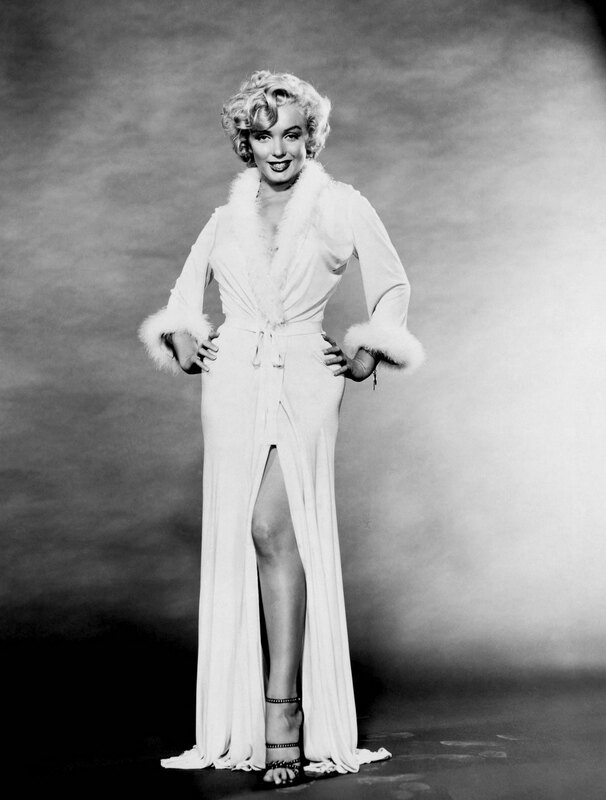 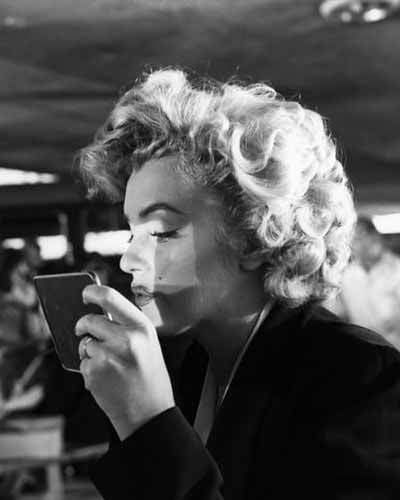 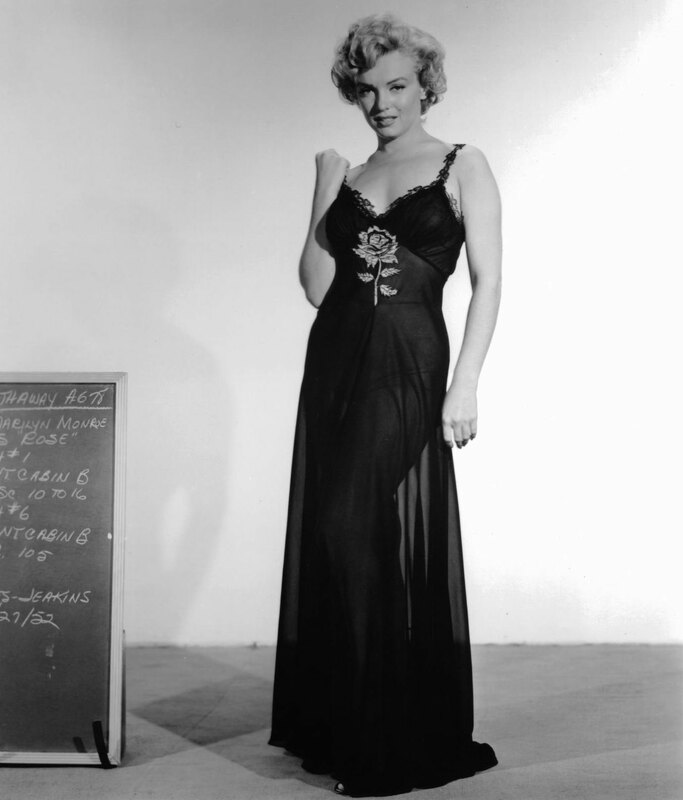 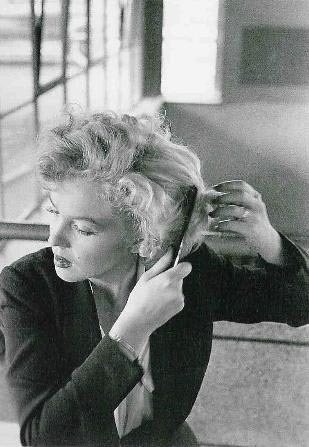 Many fans consider "Niagara" as the most sensual and attractive performance of Marilyn. 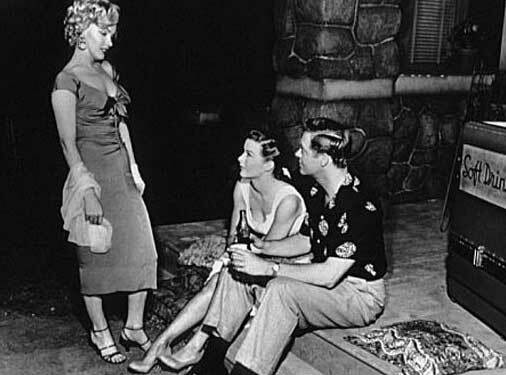 When the movie was released, the opinion was apparently shared by the amateurs of the cinema of this era. 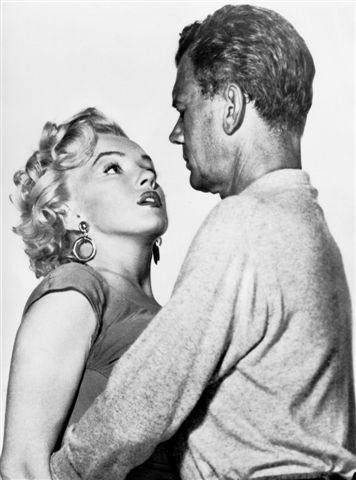 The earnings of the movie were 5 times higher than its cost, and this, despite the boycott threat of some groups, claiming that the movie was indecent. 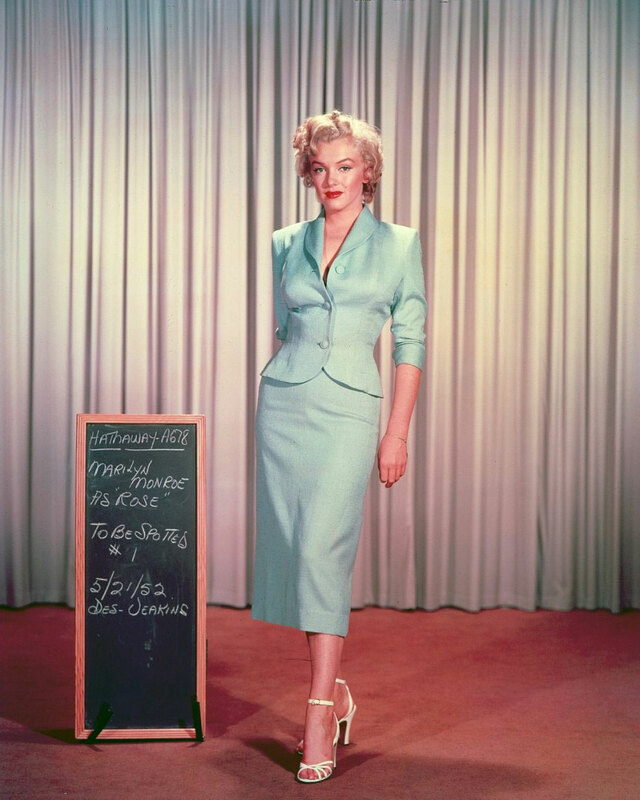 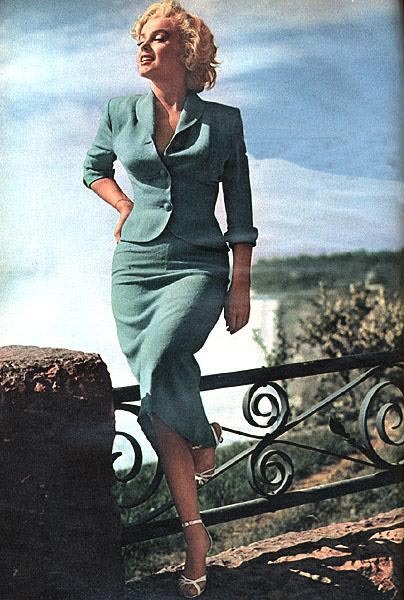 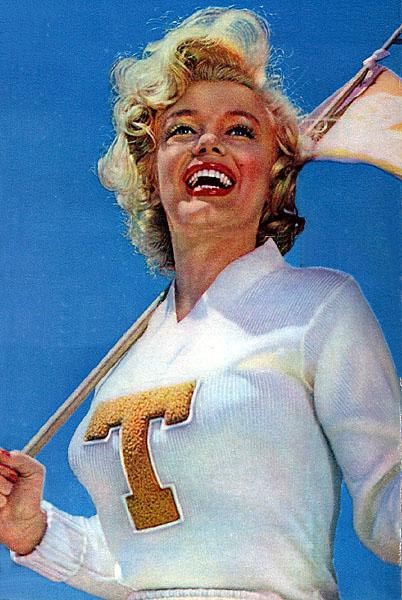 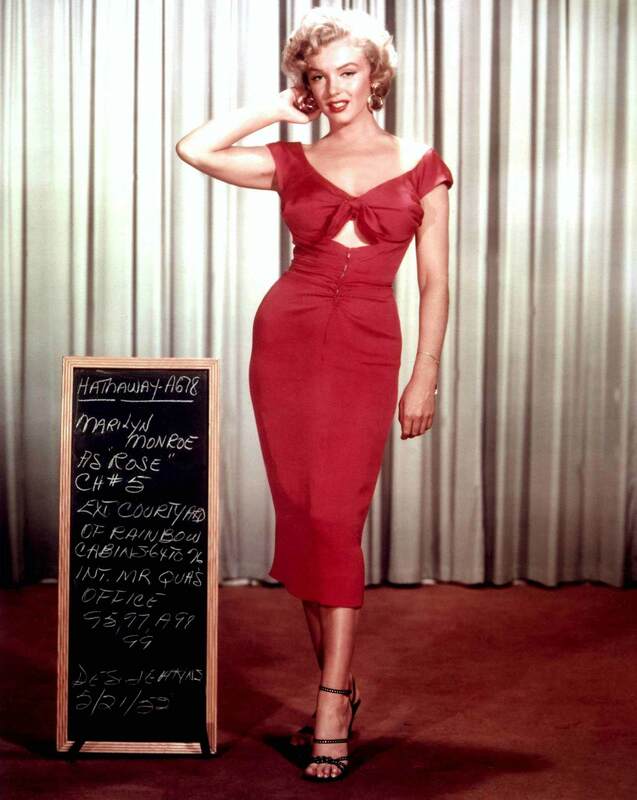 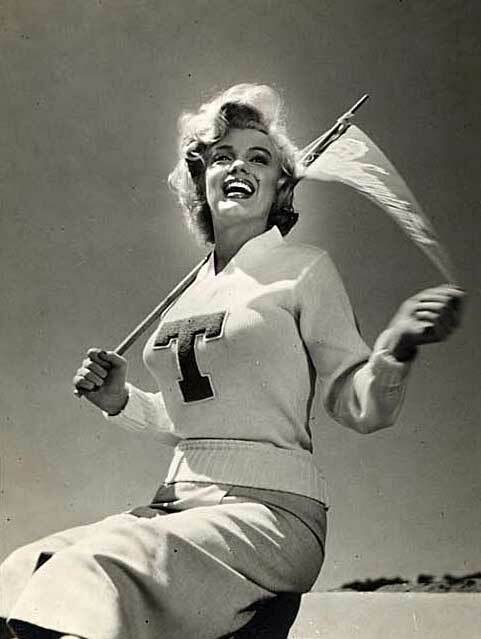 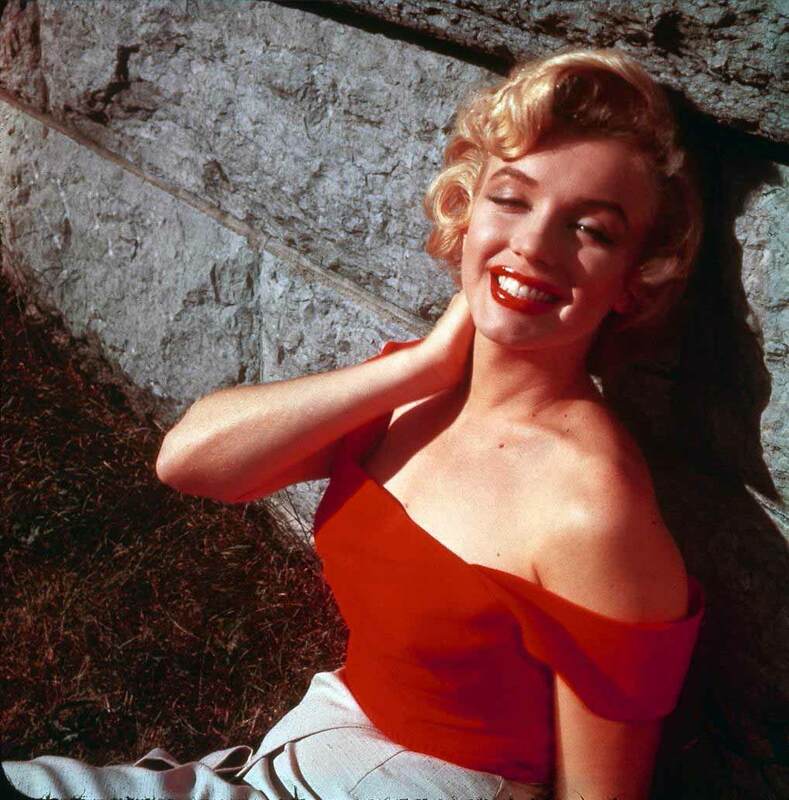 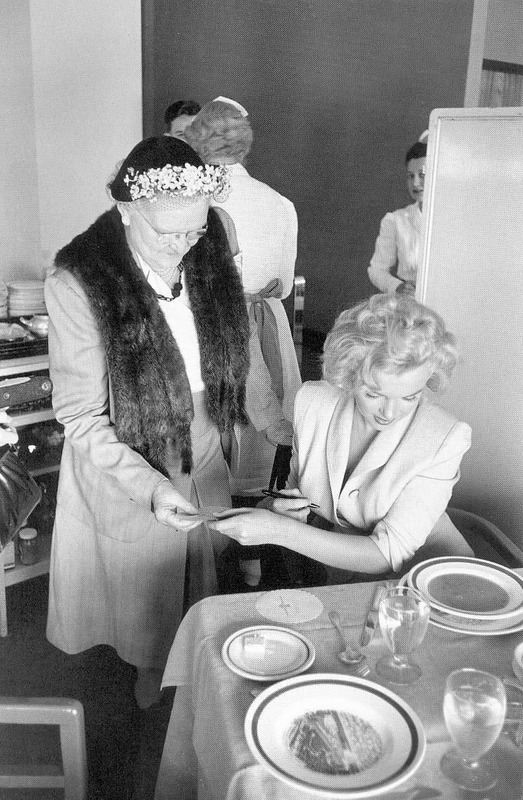 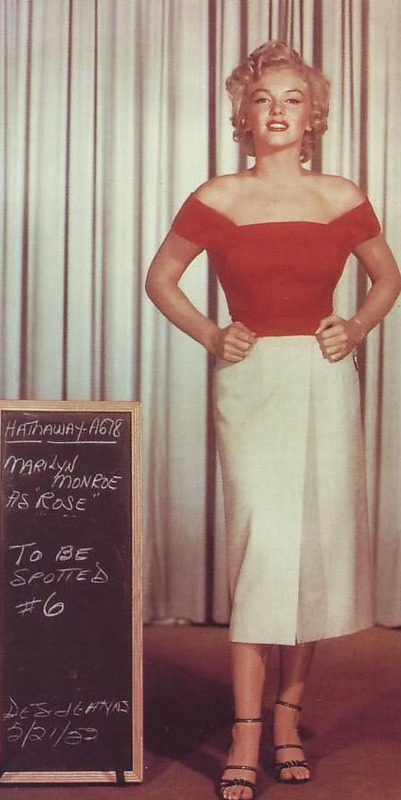 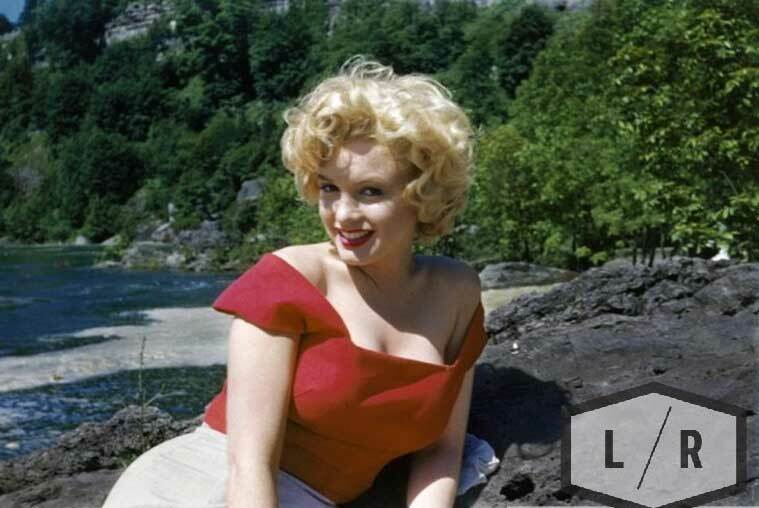 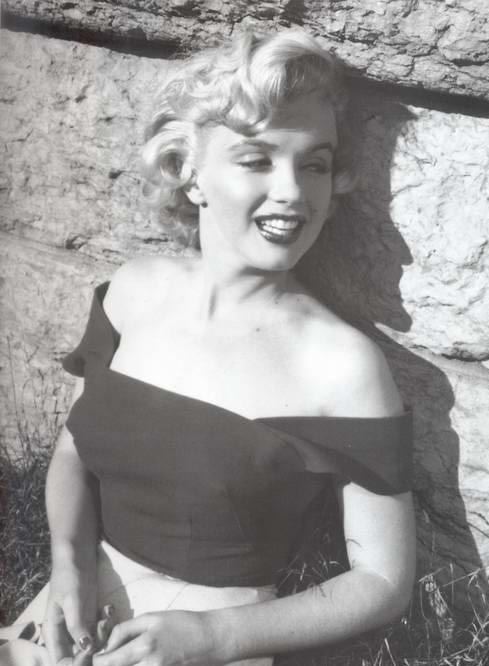 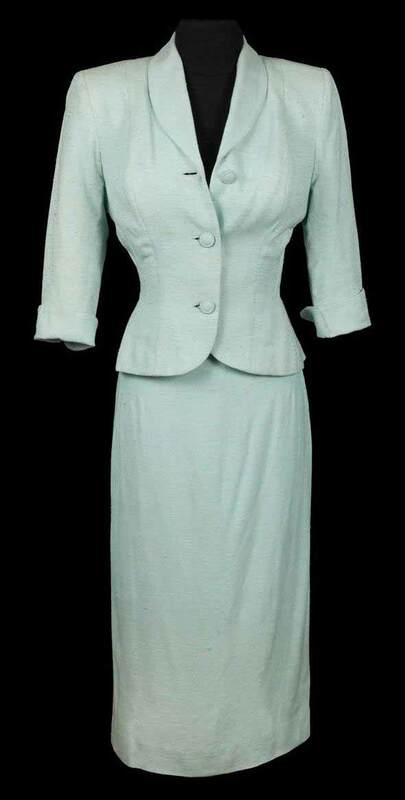 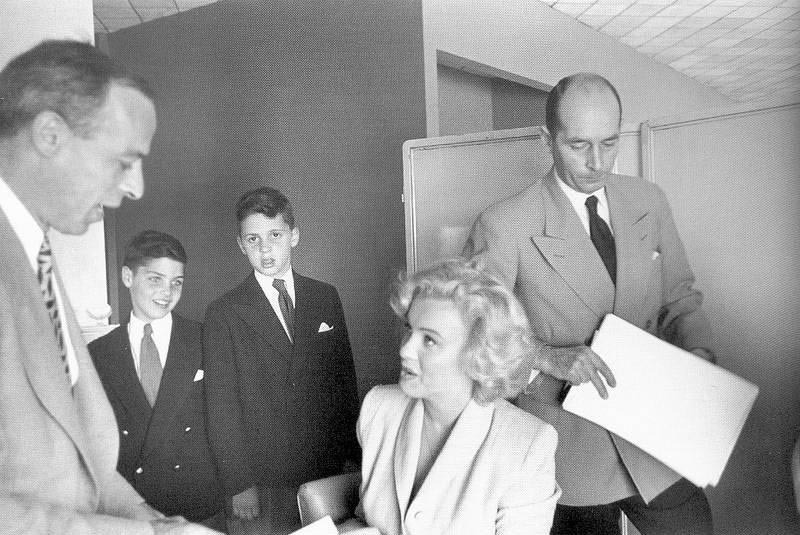 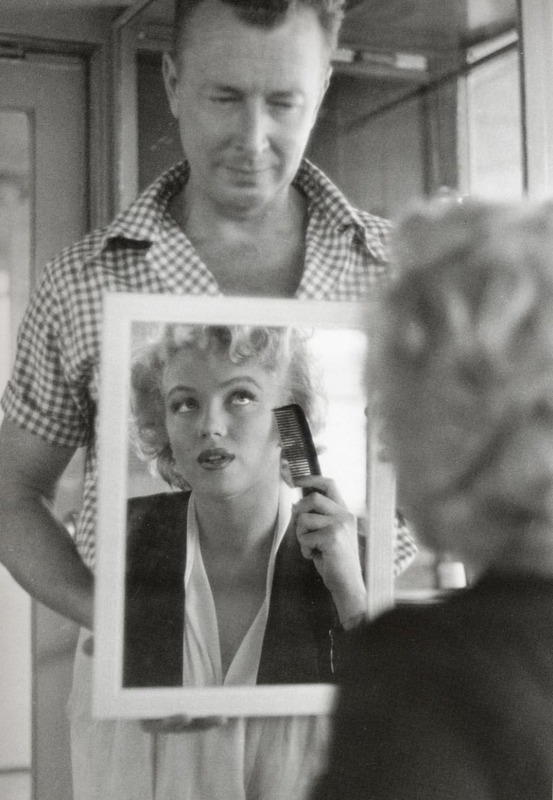 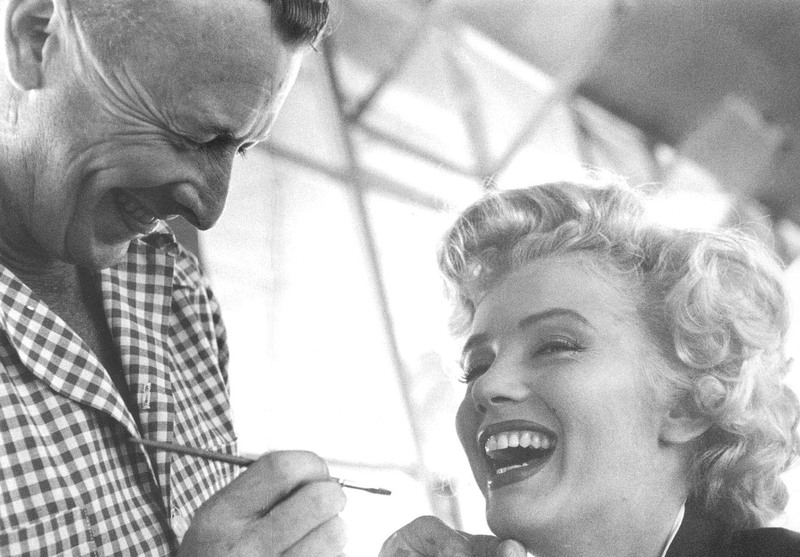 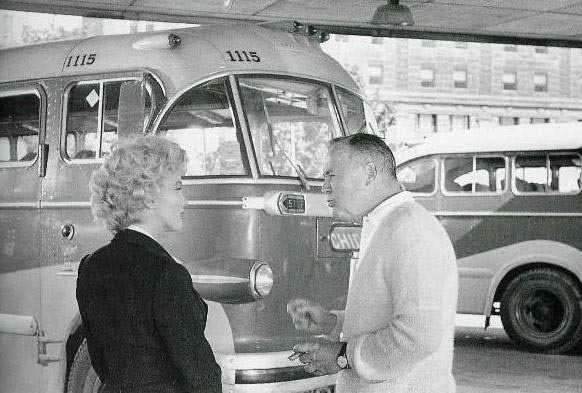 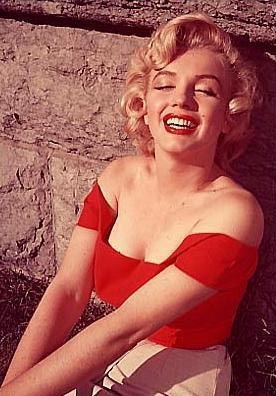 Marilyn turned out to be one of the biggest attractions of the whole country. 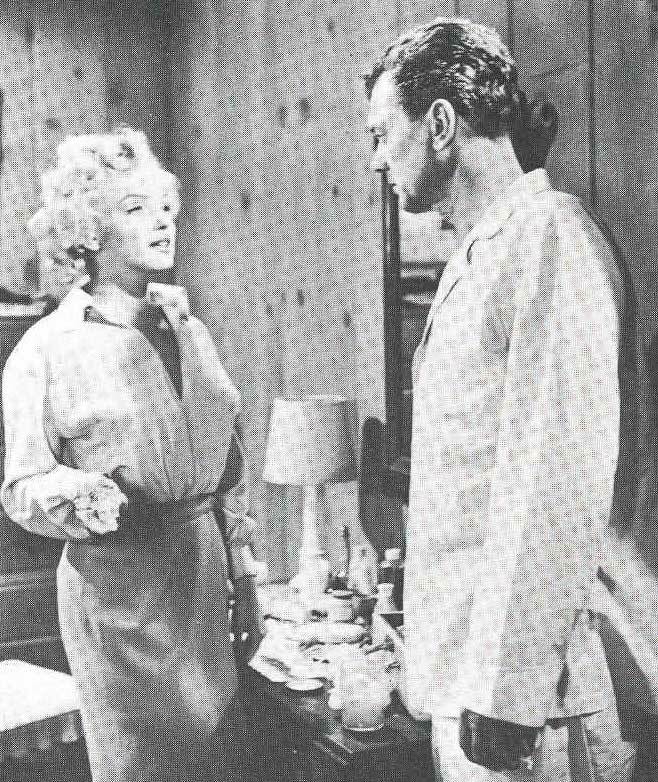 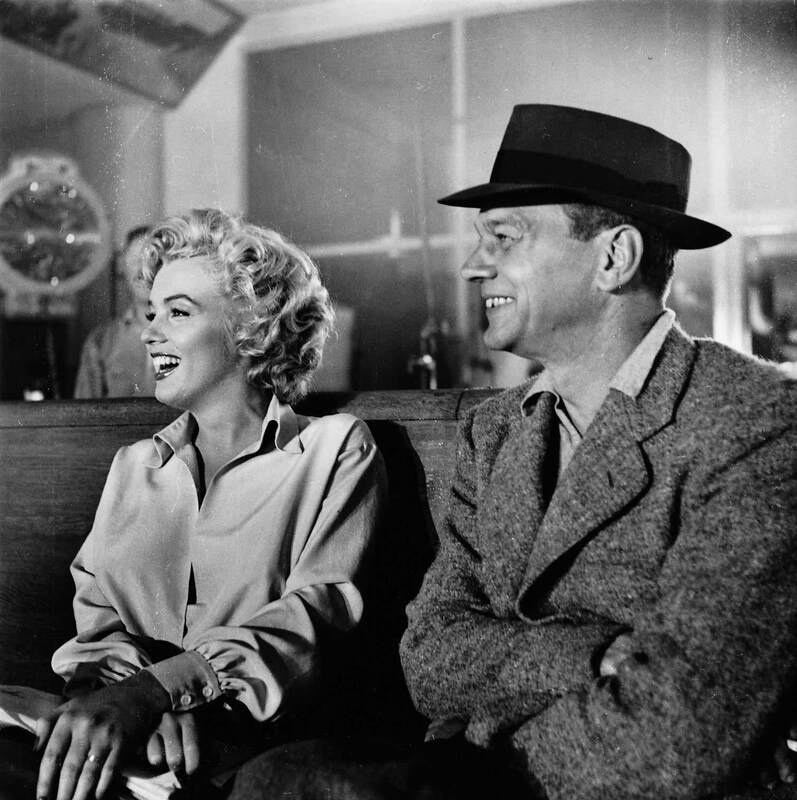 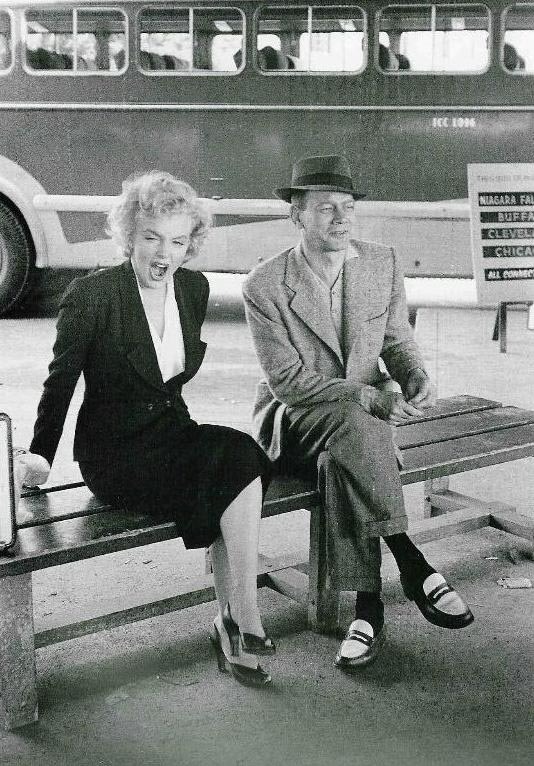 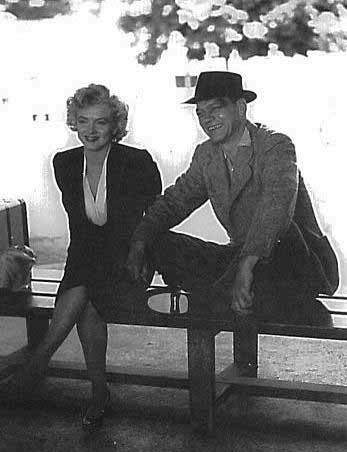 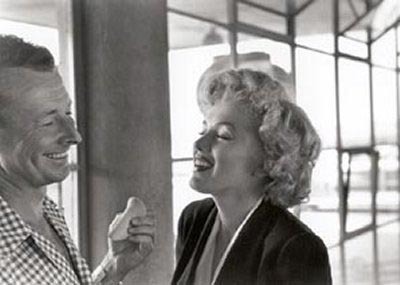 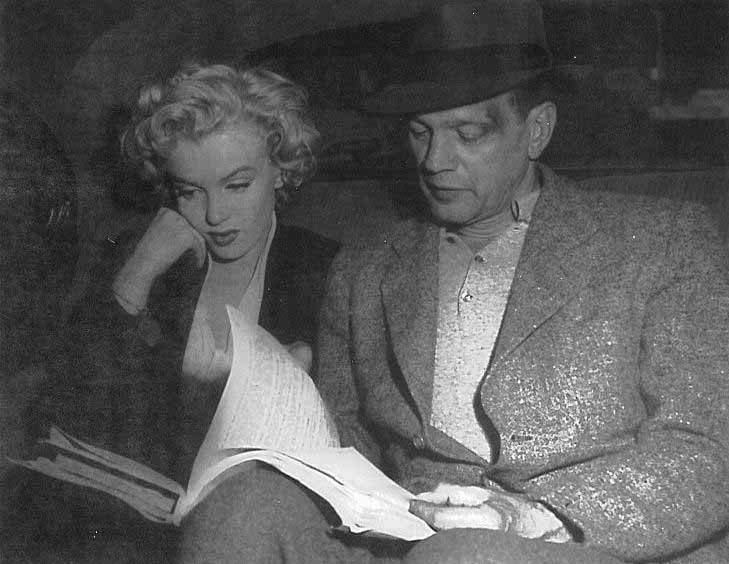 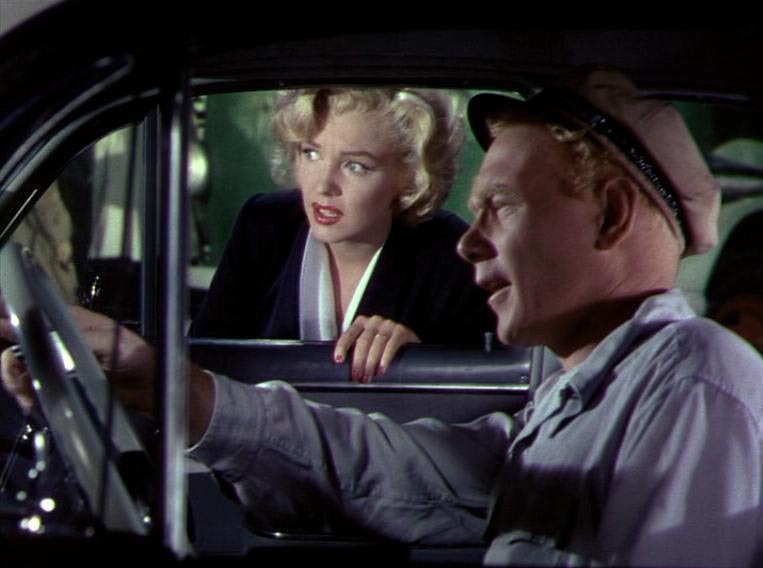 Despite all the critics "Niagara" had to put up with, and their obvious lack of nuance, Marilyn's playing makes its character remarkable among the others, much more dull, notably the one of her husband, though played by the excellent Joseph Cotten. 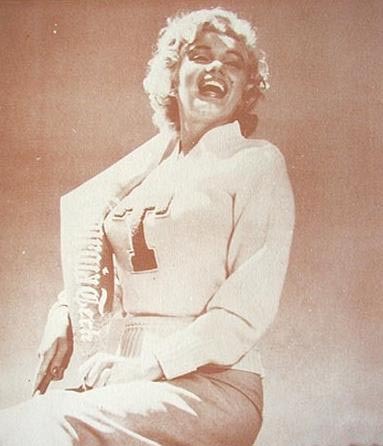 Release date : January 21, 1953. 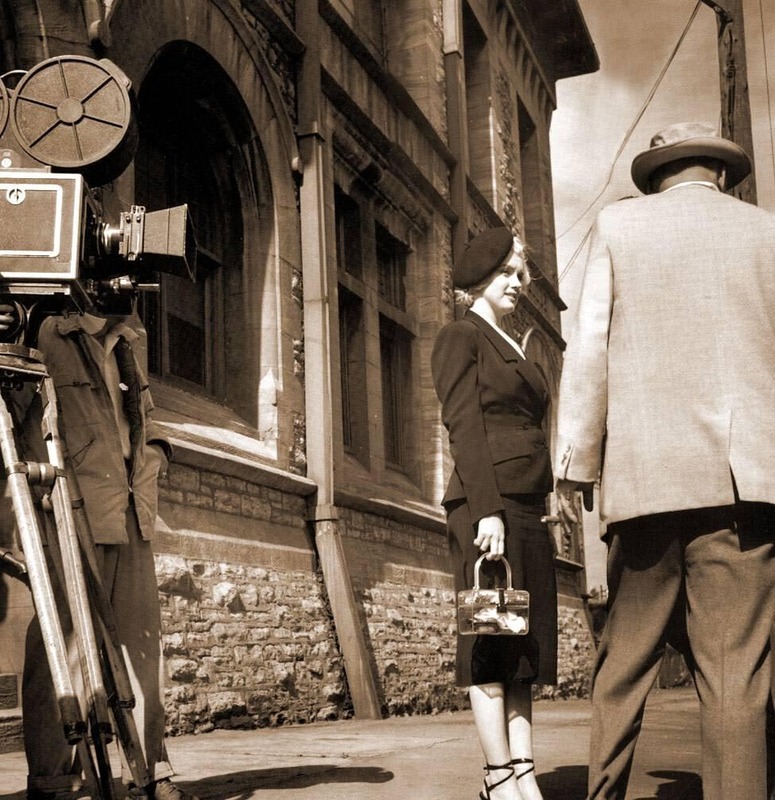 Film editing : Barbara McLean. 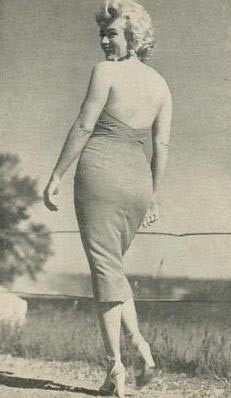 Marjorie Rambeau - bit part. 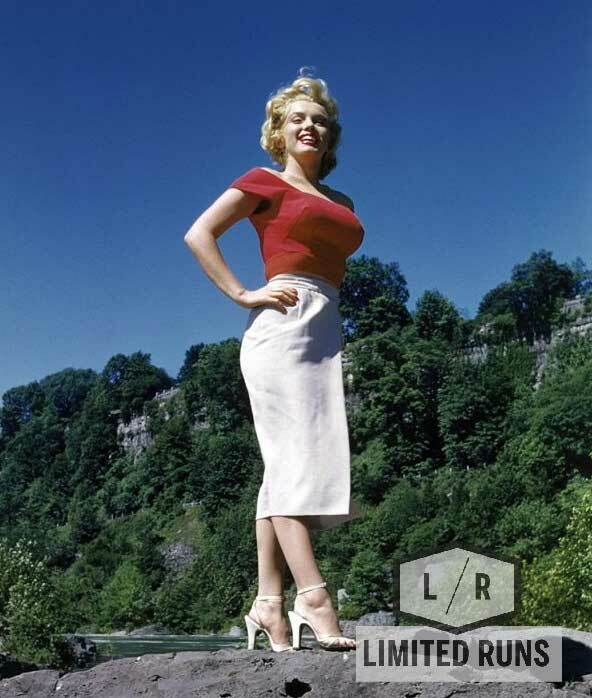 Lyle R. Wheeler - art director. 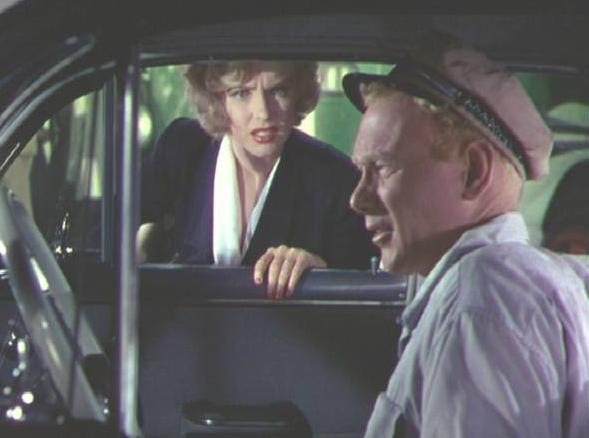 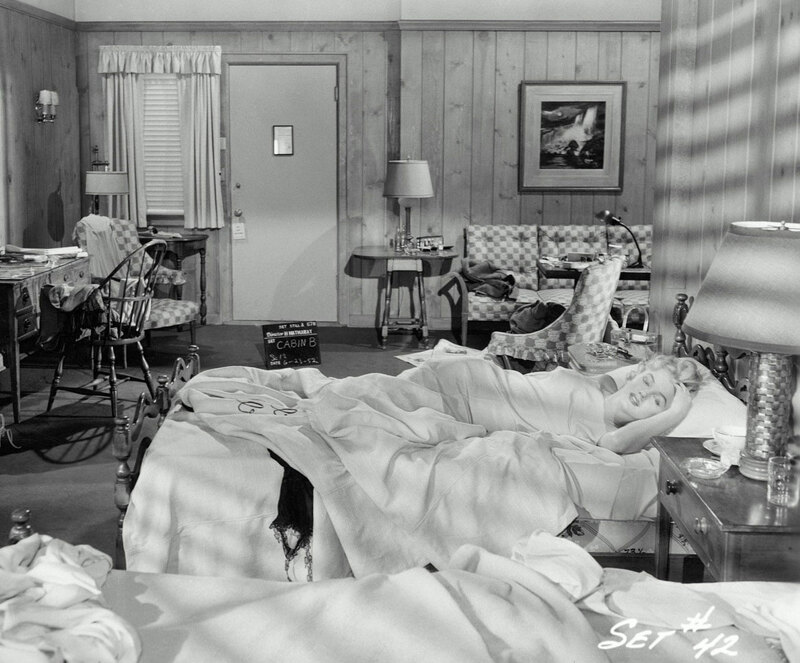 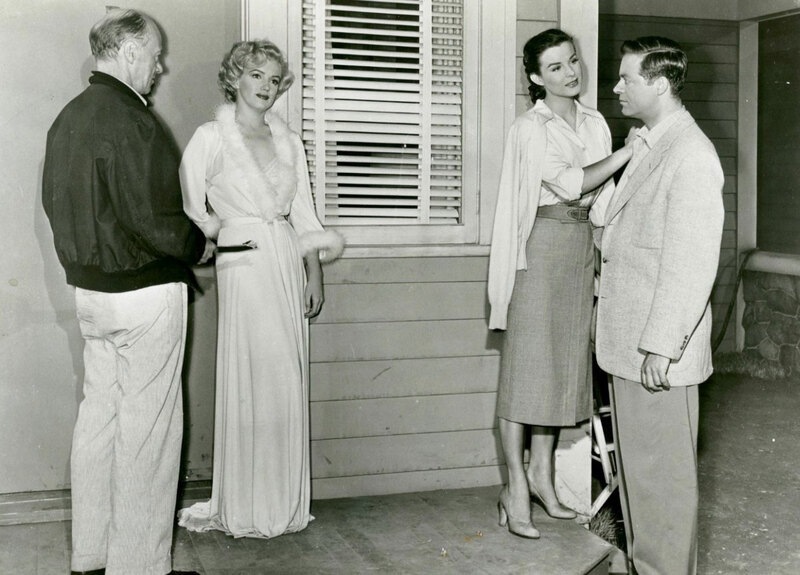 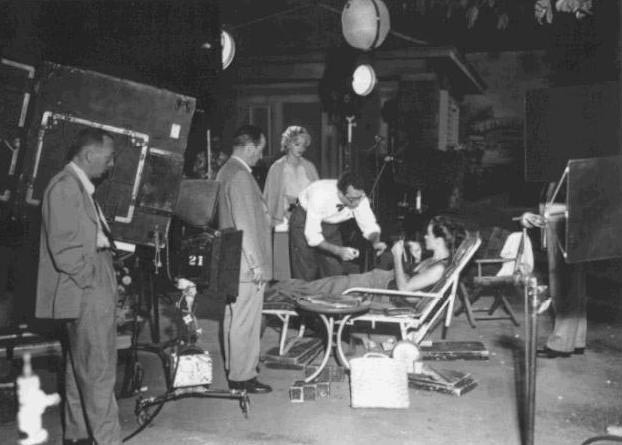 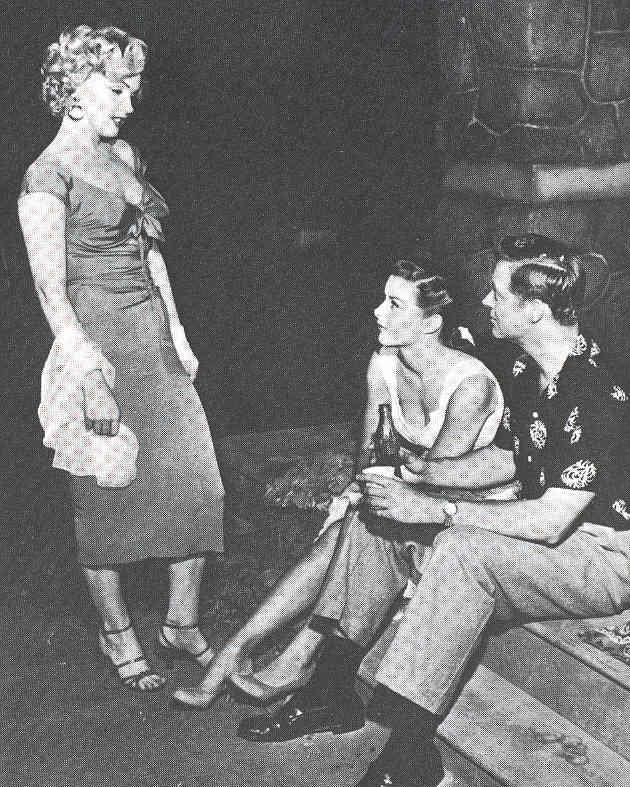 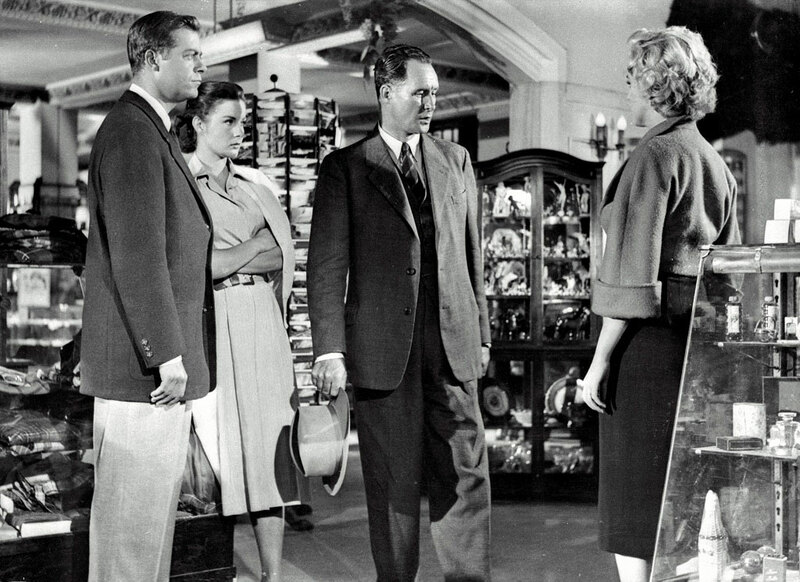 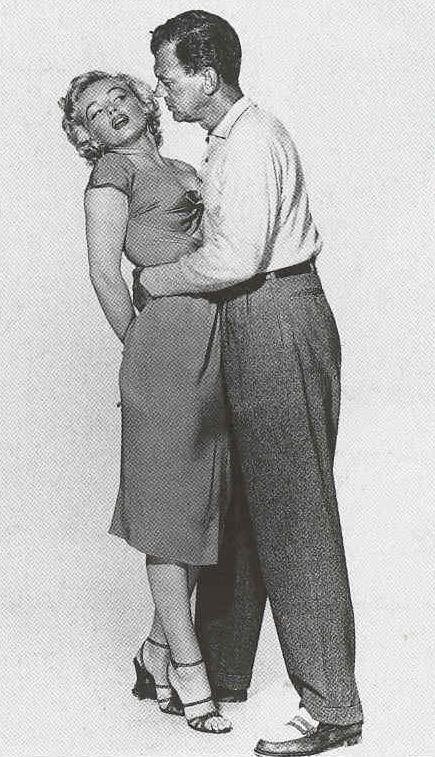 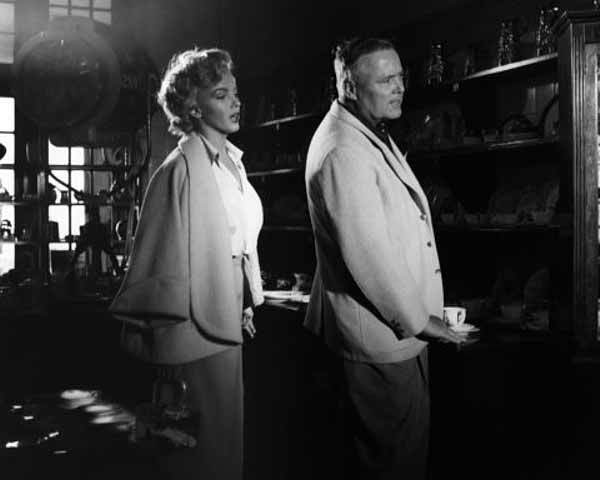 As in "Don't Bother to Knock" (1952), the plot takes place in a bungalows hotel where notably, 2 couples stay : on one hand, newlyweds in honeymoon, Ray Cutler (Casey Adams) and Polly (Jean Peters), and on the other hand, a Korean war veteran, George Loomis (Joseph Cotten), accompanied with his wife Rose (Marilyn Monroe). 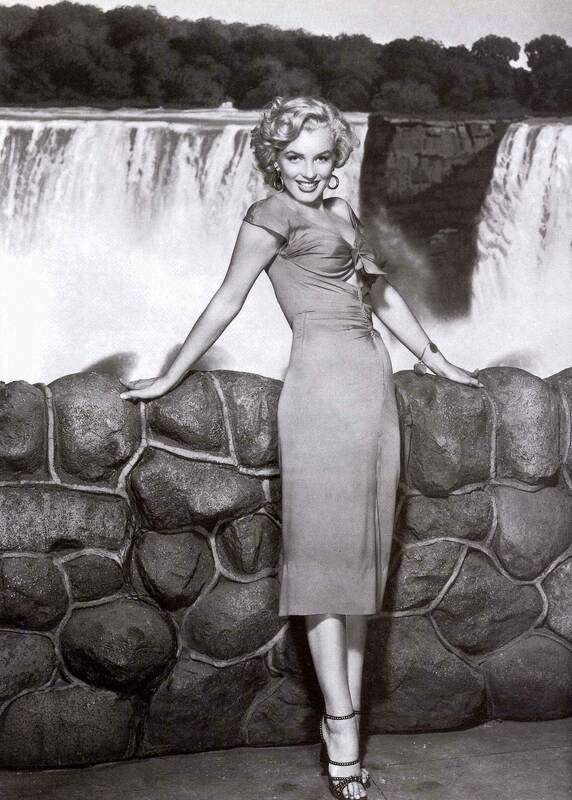 The whole action takes place in the grandiose setting of the Niagara falls. 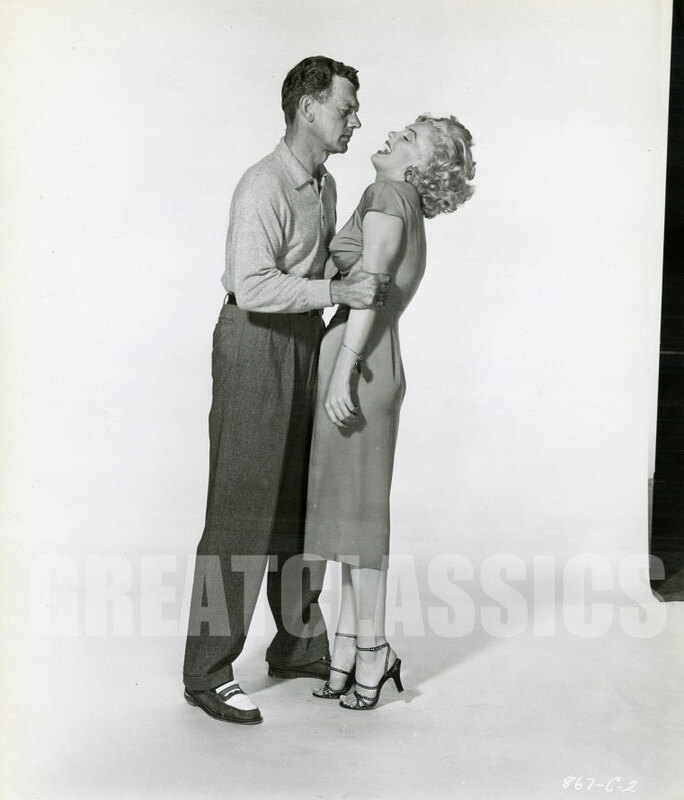 Polly surprises Rose kissing Ted Patrick (Richard Allan), who isn't her husband, but she doesn't talk about it to anybody, even when George Loomis is complaining in front of her about Rose behavior, who he suspects to have an affair. 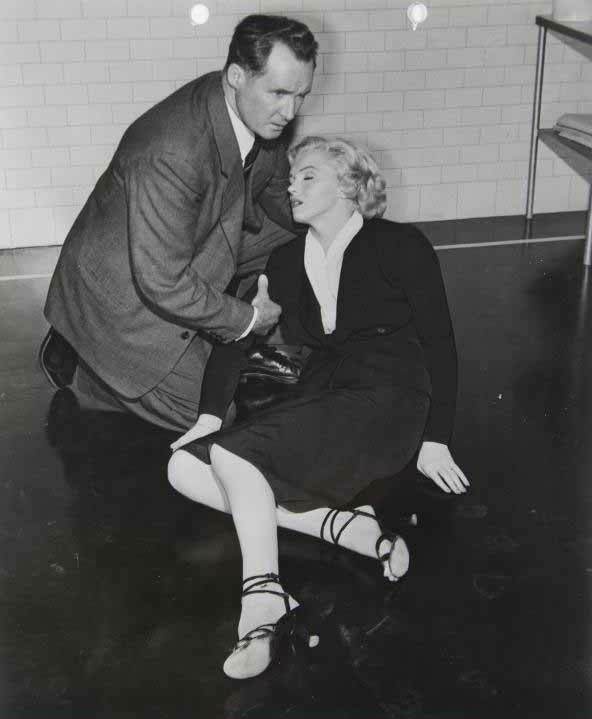 George Loomis dispappears, after Rose and Ted have set about killing him. 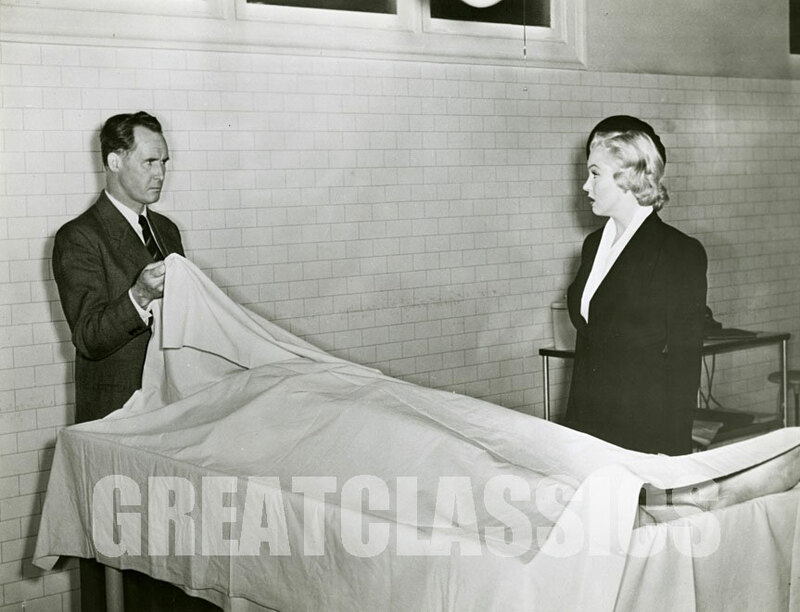 Rose admirably feigns innocence face to the police, until she discovers that the corpse showed to her at the morgue isn't the one of her husband but her lover's one. 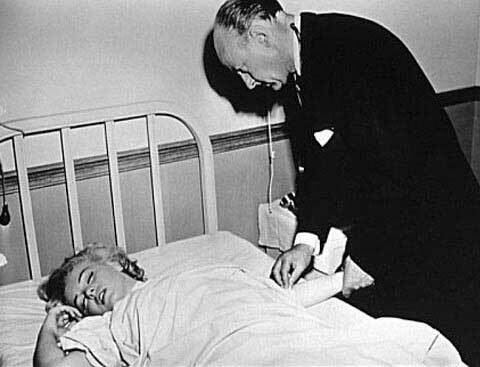 She faints under the shock and is hospitalized. 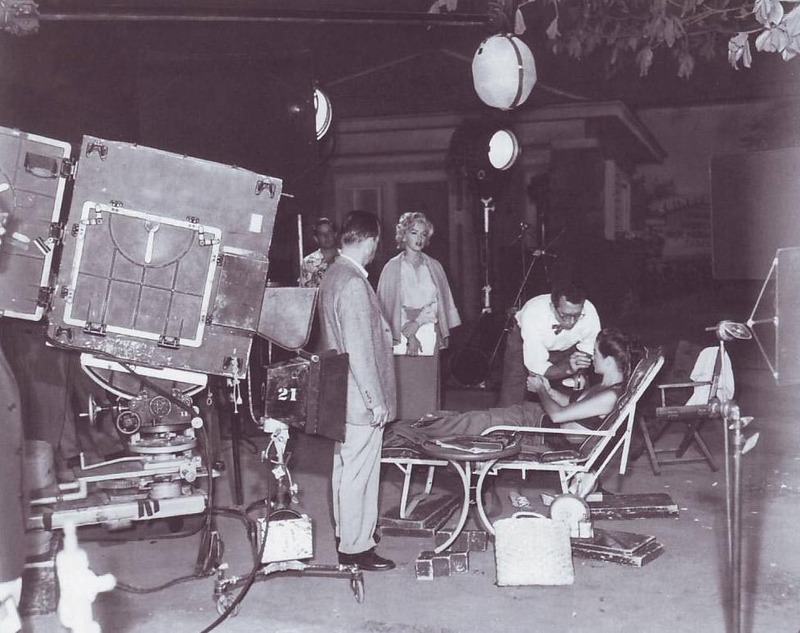 It turns at that Loomis has killed Ted in a self-defense gesture. 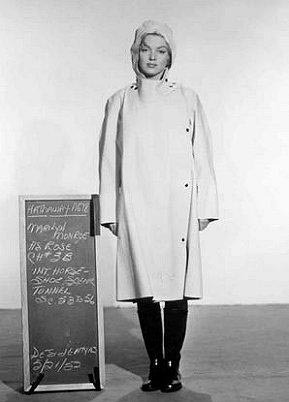 Rose manages to escape from the hospital. 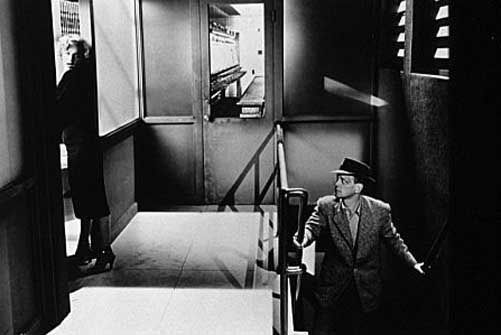 Her husband finds her and chases her, up to the belfry of the carillon, where he strangles her. 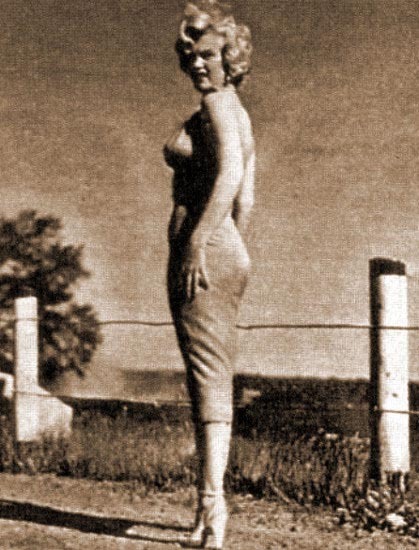 The police seeks him, he escapes and to croos the Canad-USA border, takes a motorboat on which unfortunately Polly is. 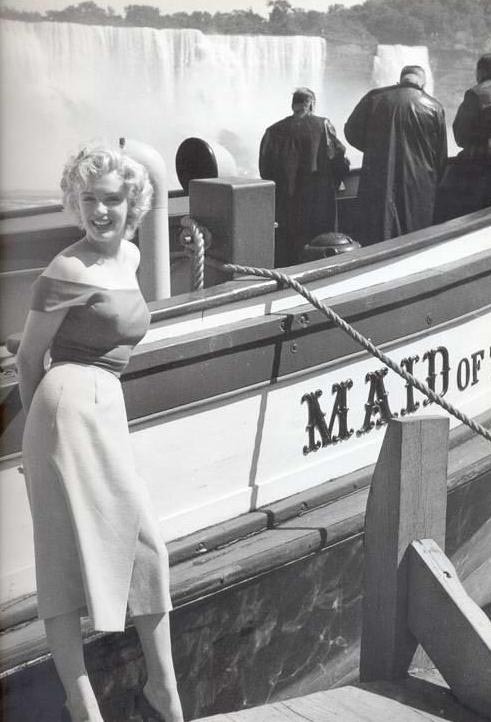 He tries to disembark the young woman, but, giddy by the struggle, she stays on board. 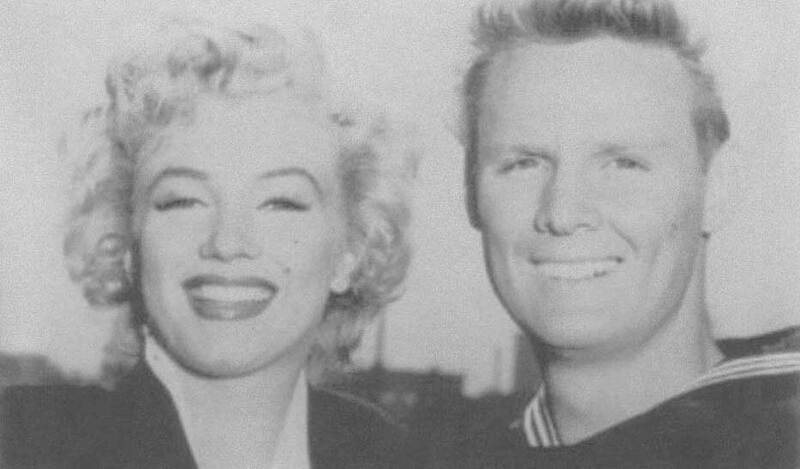 From then on, their destinies are linked. 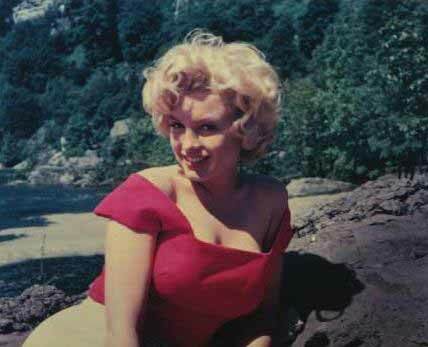 They run out of fuel and drift in the rapids. 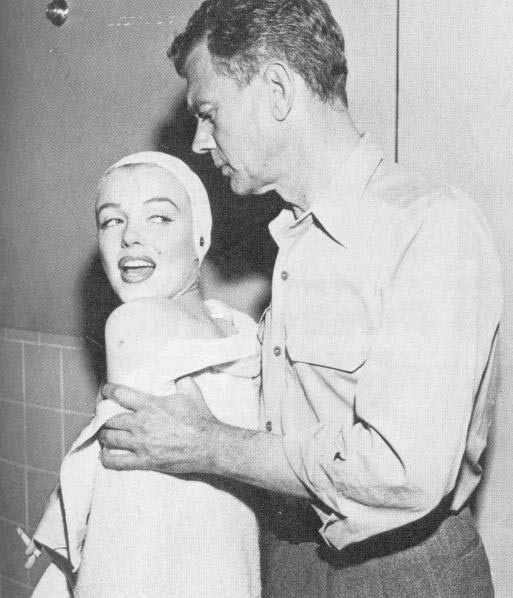 Before reaching the abyss, Loomis manages to push Polly on a rock, just before the craft and himself topple over the dreadful waterfall. 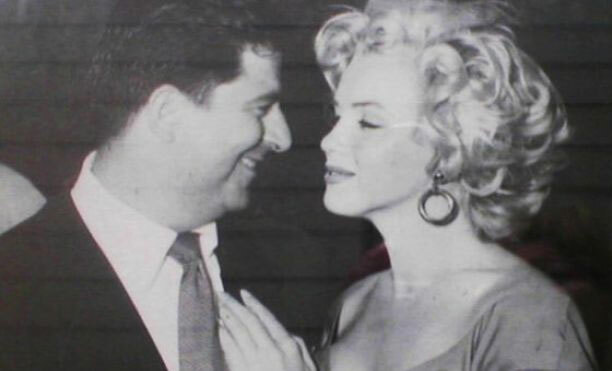 Polly is saved by a police helicopter, and safe and sound, she joins her husband. 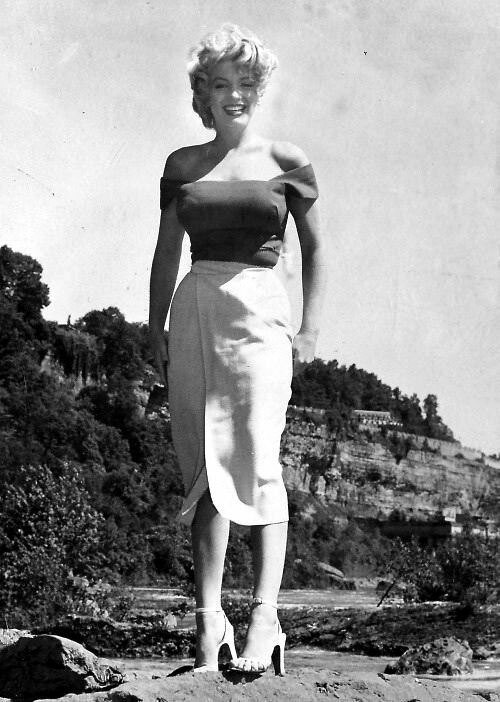 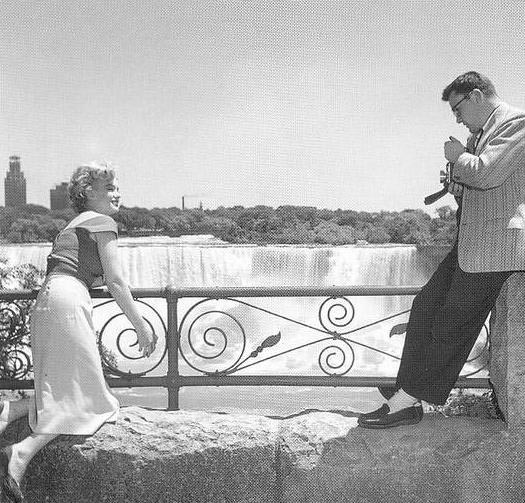 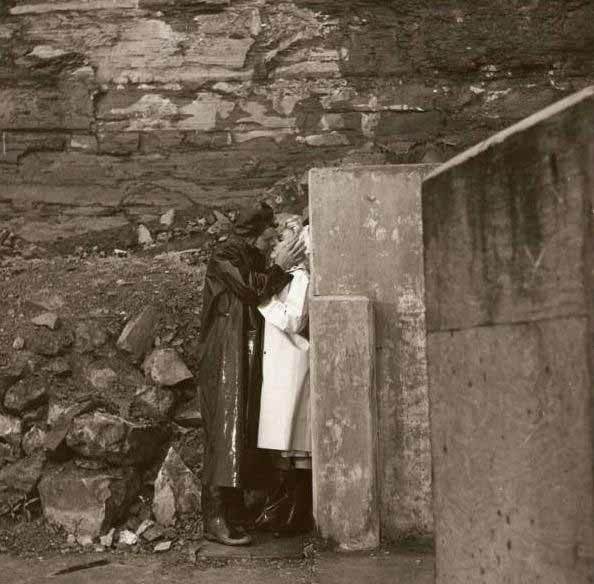 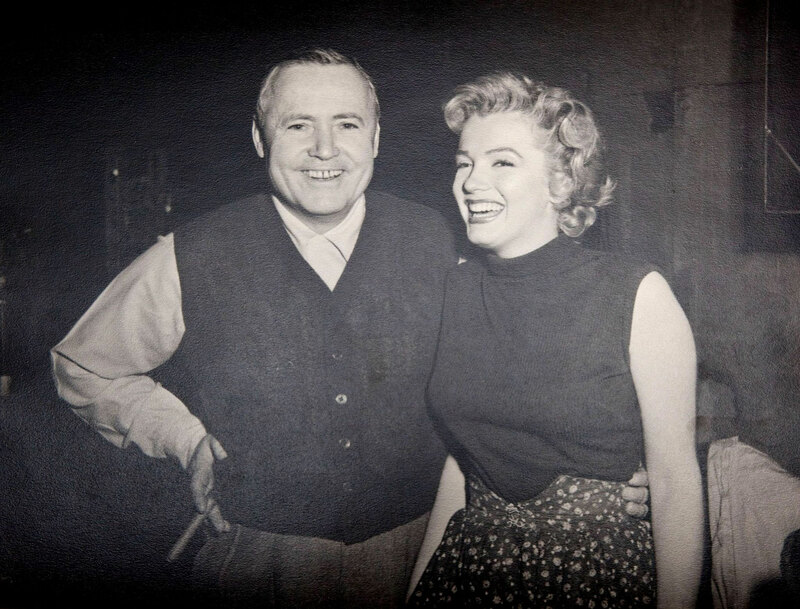 "Falling For Marilyn : the Lost Niagara Collection", with pictures of Jock Carroll, New York, Michael Friedman Publishing, 1996. 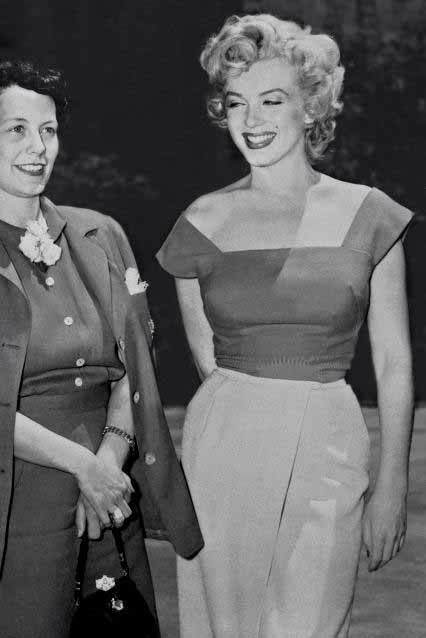 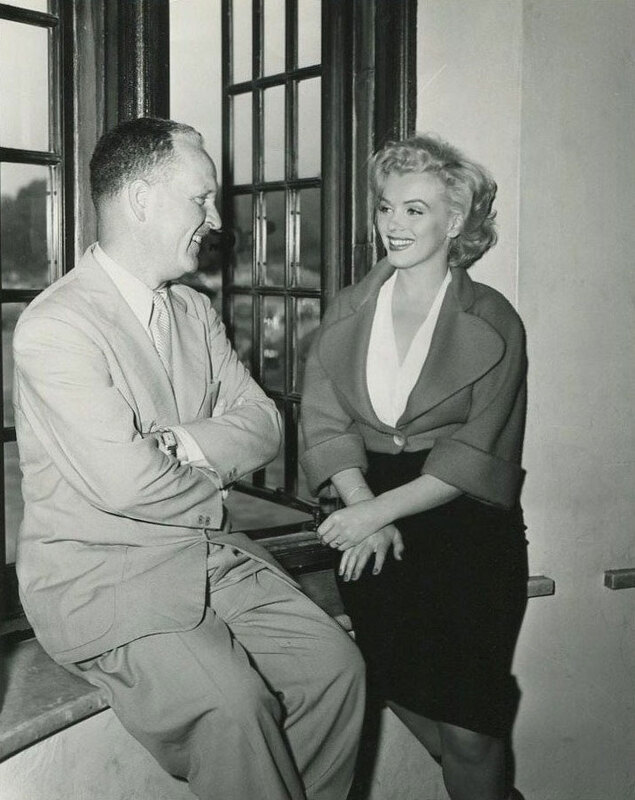 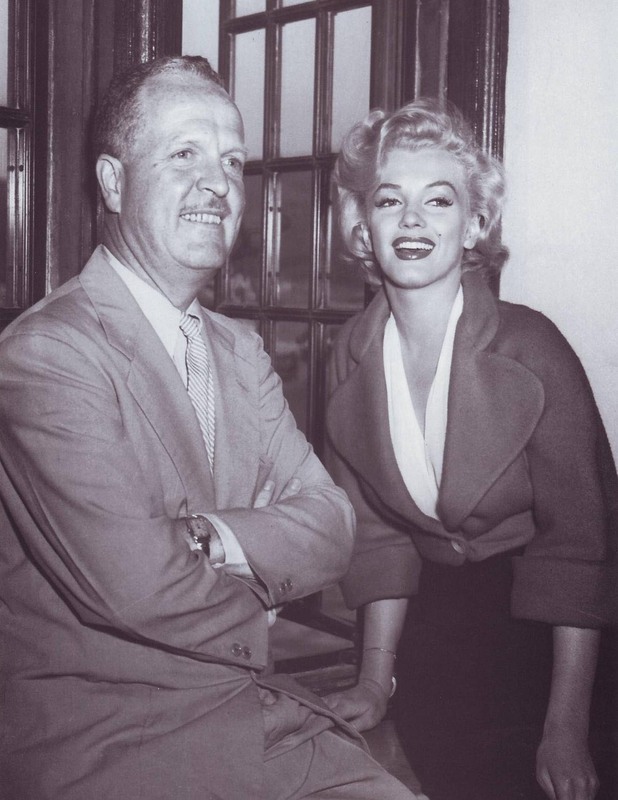 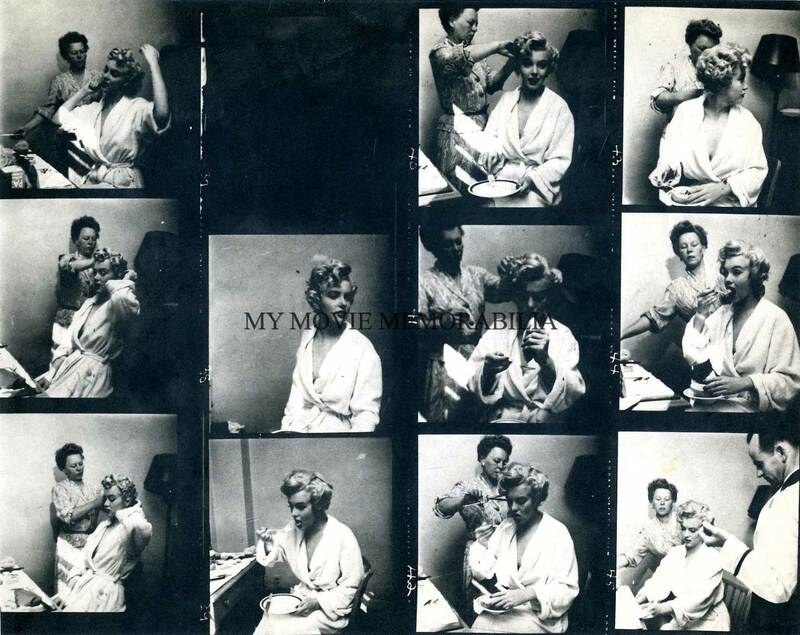 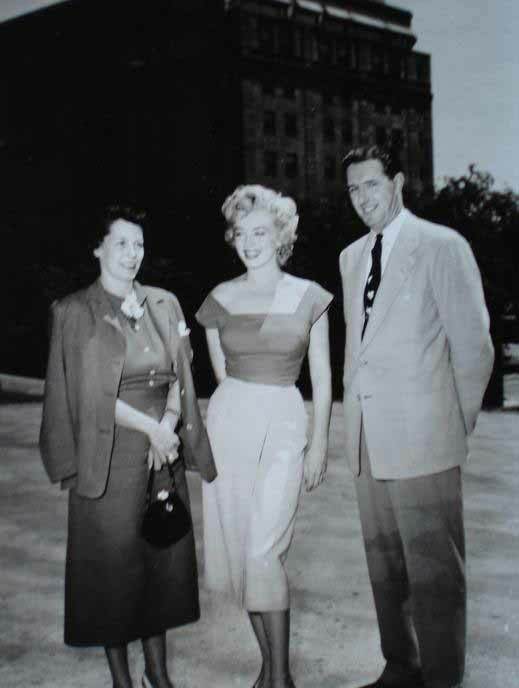 "Marilyn Monroe and the Making Of Niagara", George Bailey; local publisher, in sale in the Niagara falls area.